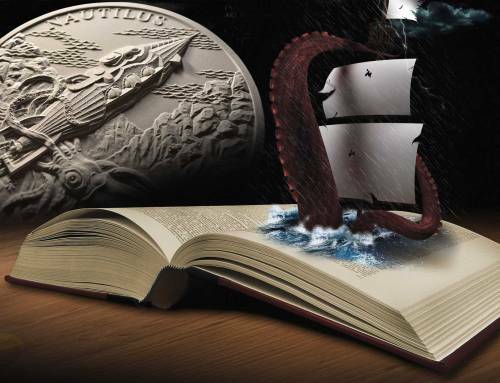 Over the last decade we’ve seen an ever growing competition between the mints to stand out from the pack, and that’s led to coins with wild designs, inserts made from glass, minerals, gems or oddities, as well as strange shapes and gimmicks. What we have here with ‘From Clovis to the Republic’, is the absolute antithesis of that approach. Brilliantly clean and simple design, beautiful artwork and impeccably struck, this series exhibits a conceptual purity missing from much of todays products. 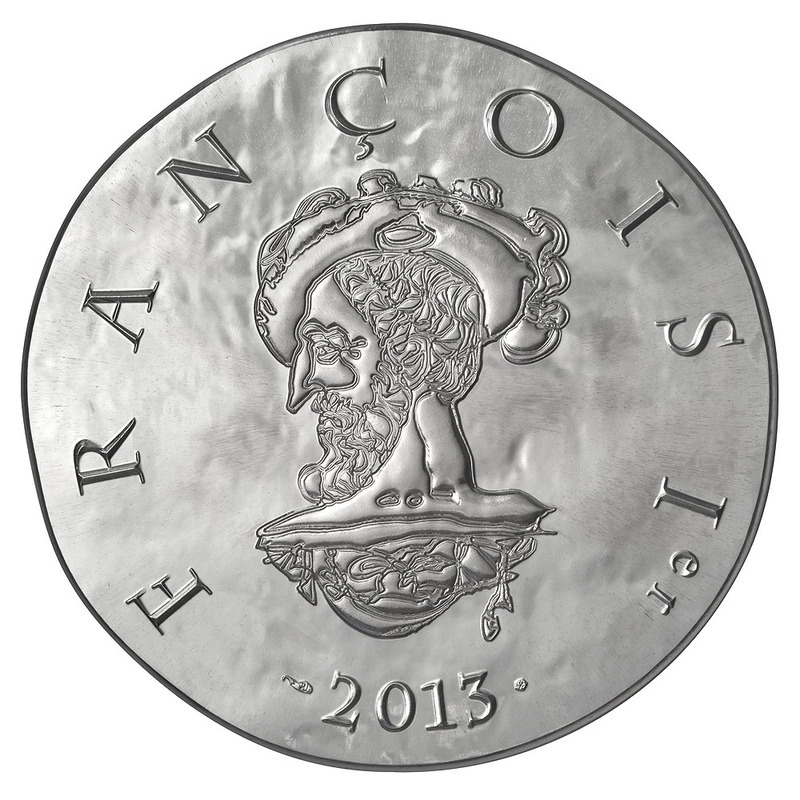 Designed by famed French fashion designer Christian Lacroix, the 15 coins in the series trace the line of key French rulers from King Clovis, who first united the Frankish tribes under one ruler before his death in 511, to Francois Mitterand, the longest serving Prime Minister of the Republic, who died in 1996. 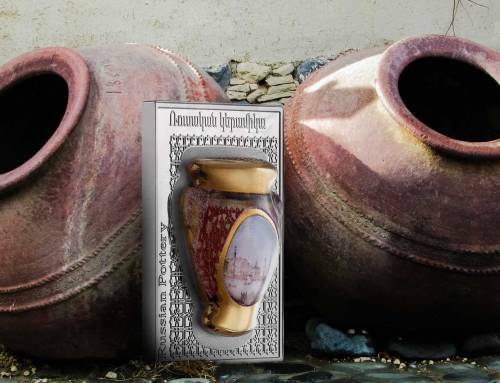 Struck in an ancient ‘hand-hammered’ style, each coin carries a portrait of the ruler on the obverse, with representative symbology on the reverse. Highly polished, the end result is just beautiful. 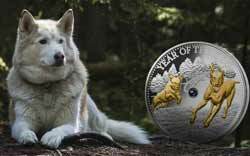 The coins are released three-per-year over a five-year period to complete the fifteen-coin set and will finish in the first half of 2015. 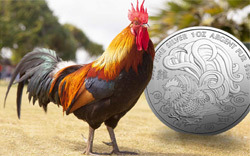 They’re issued as a 22.2g, 0.900 silver coin, and as an 8.45g 0.920 gold coin. 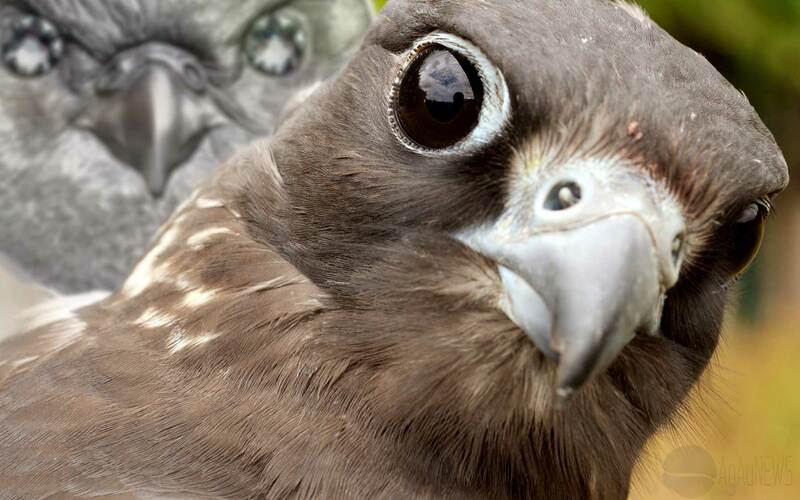 In both cases they look superb. 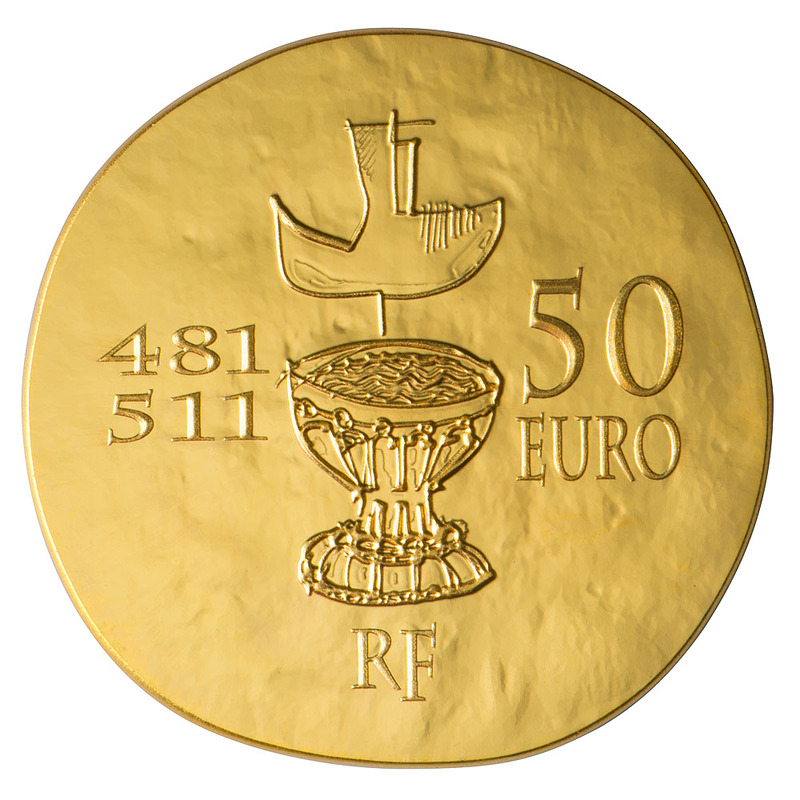 The first of the three issues for 2014, the March release featuring Louis XIV, has also been made available for the first time in a 31.1g (1oz), 0.999 gold format. 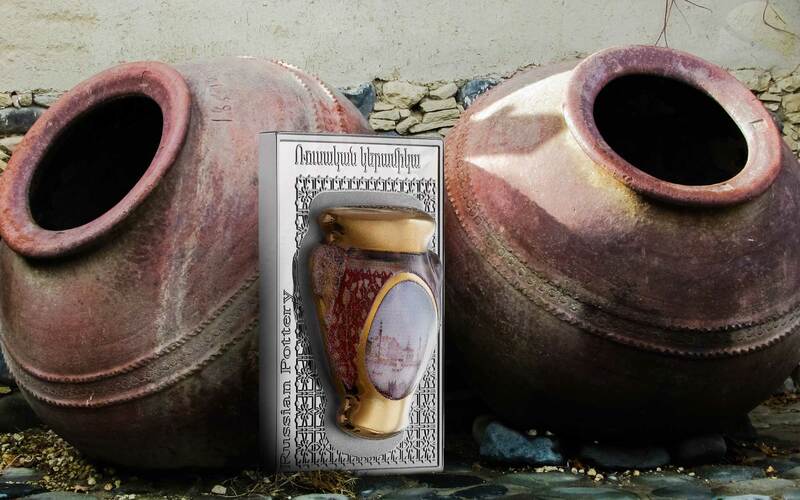 The size mirrors that of the silver coins and it’s definitely the highlight of the range. 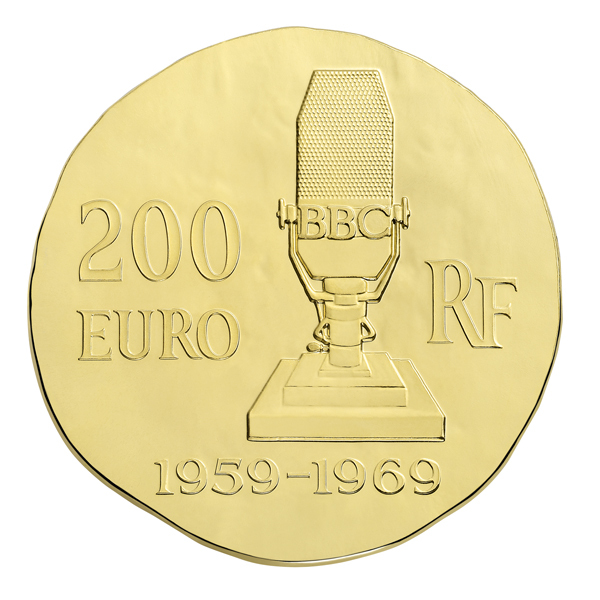 With a mintage of only 500, it’ll be a lucky collector that gets their hands on one. 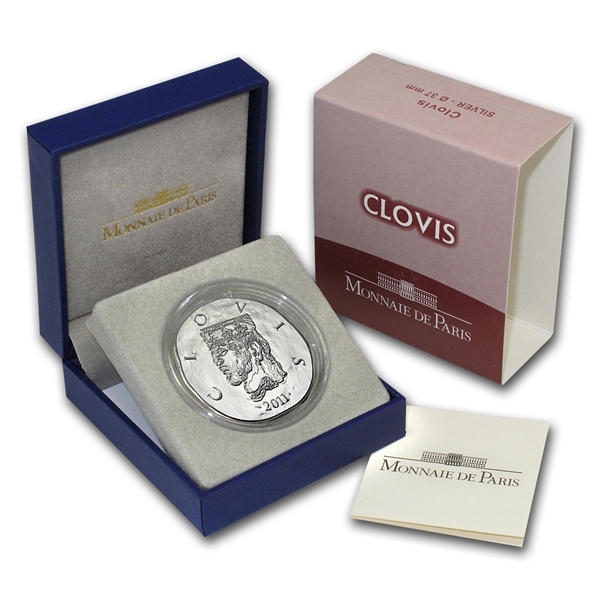 The coins ship in a small, neat, blue snapper case, in a shipper sleeve, and include a Certificate of Authenticity. 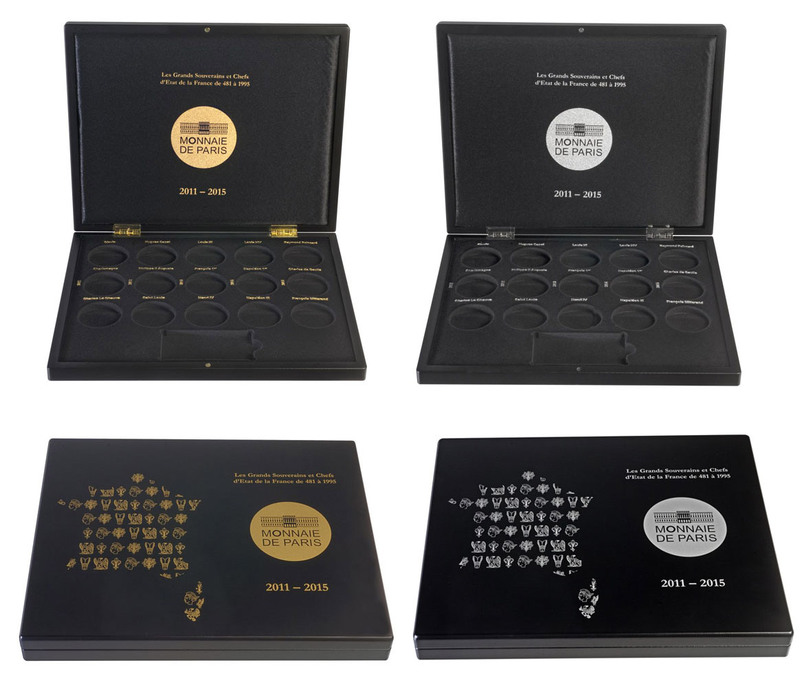 A pair of nice, custom collector boxes are available, one for gold and one for silver, each of which has set positions for each coin and a place to store all fifteen certificates. 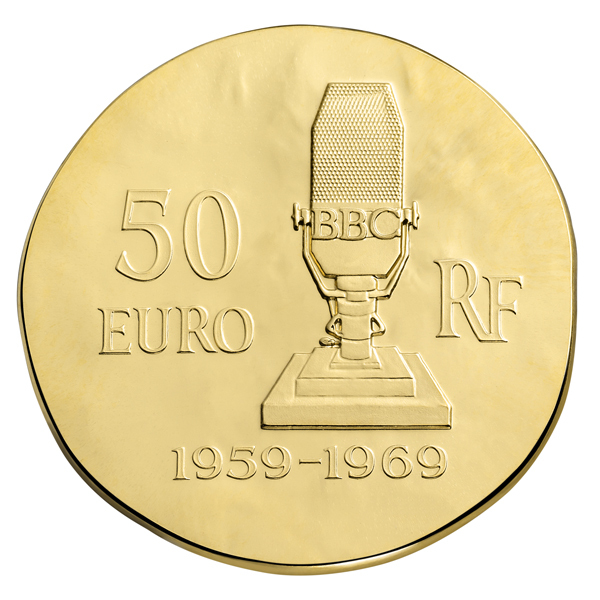 The price is a reasonable €35 at the time of writing. 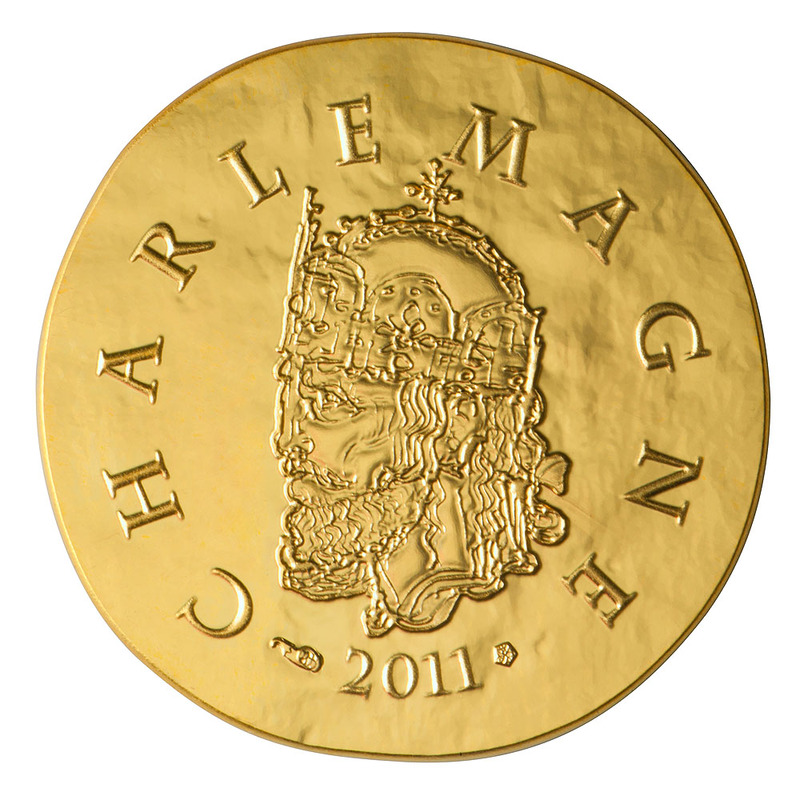 To say we’re impressed with this series would be an understatement, and given the Charlemagne coin won Best Crown Coin at the Coin of the Year awards last year, we’re not alone. 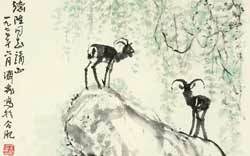 We’d love to see this style used again, maybe featuring Gallic tribes from ancient times, or historical battles etc. 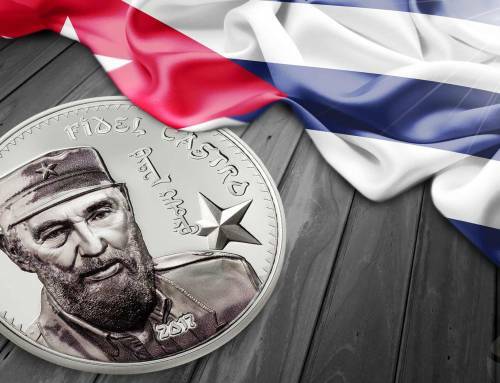 It’s an easy series to overlook given the subjects very national appeal, but in our view at least, a numismatic triumph and a welcome breathe of fresh air from the ever-increasing complexity of modern collectible coins. 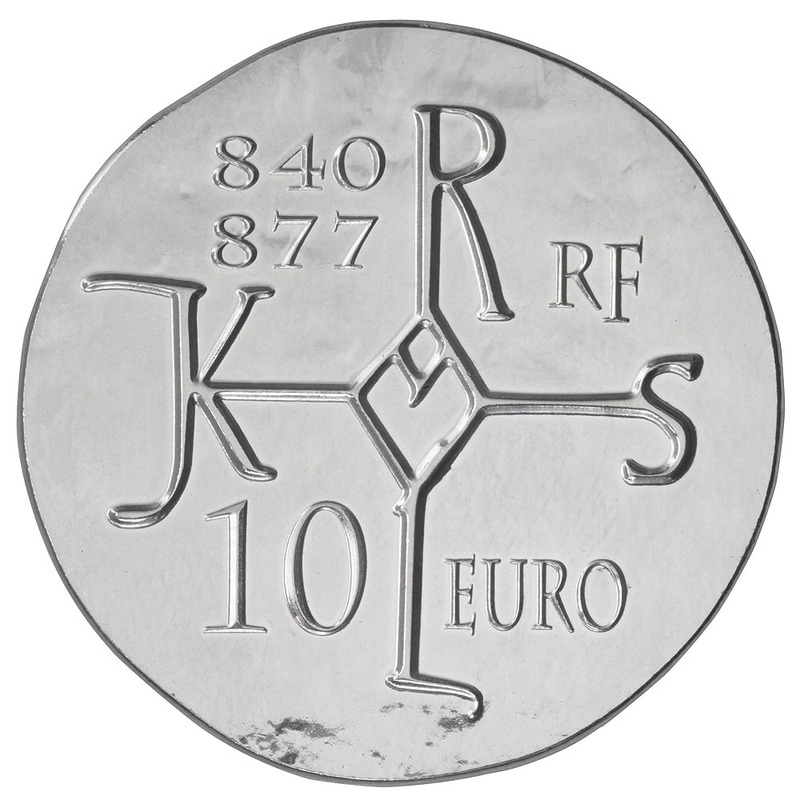 Enjoy the images and roll your mouse over to see the other side of each coin. 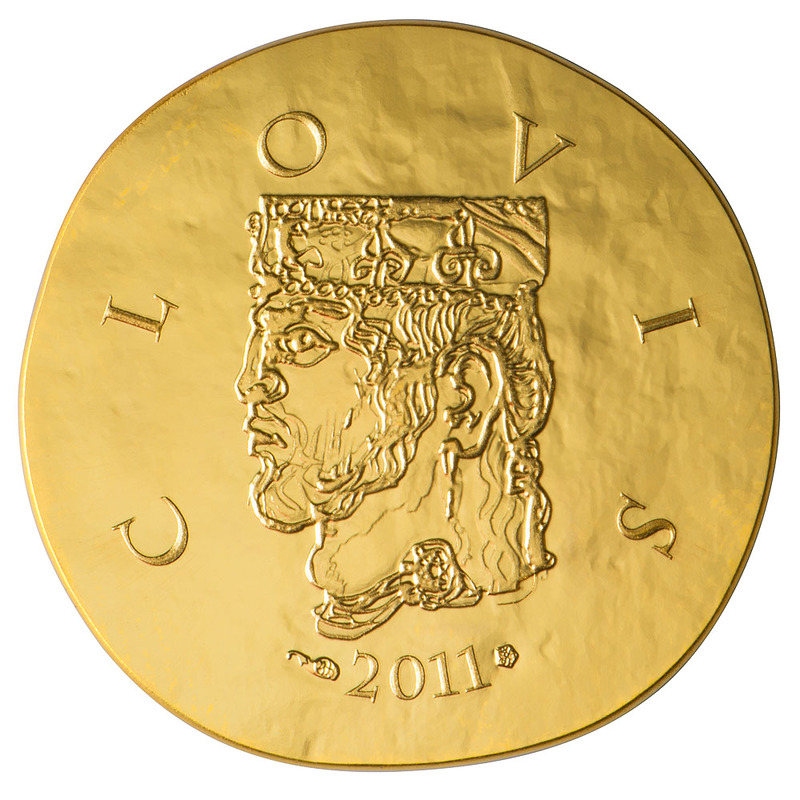 Clovis (466-511) was the first Frankish king to convert to Catholicism. His baptism brought him the dominion he needed to conquer Roman Gaul. 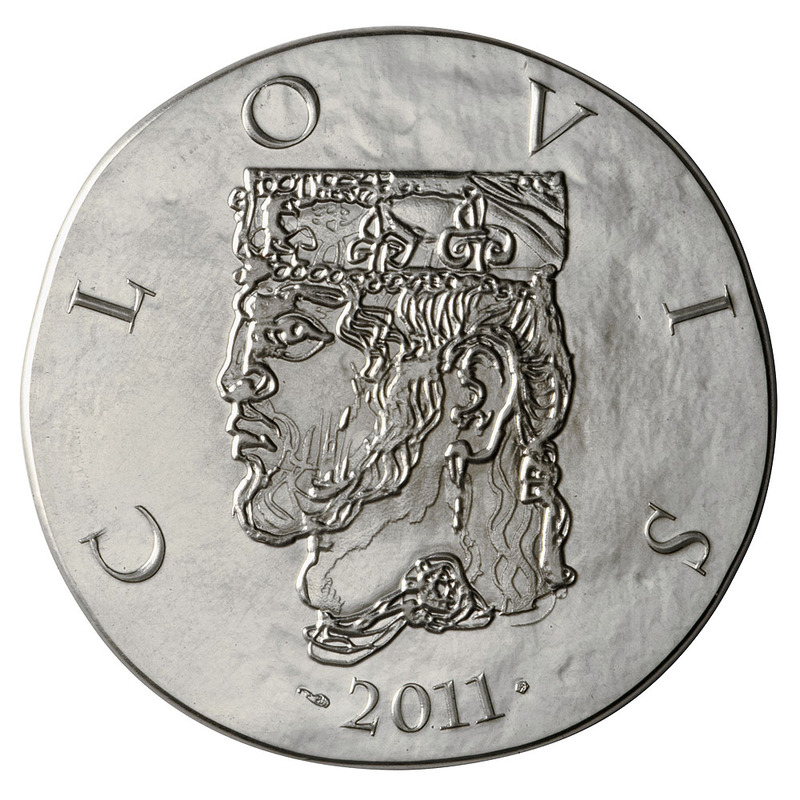 The obverse features a portrait of Clovis with his Merovingian crown surrounded by his name. 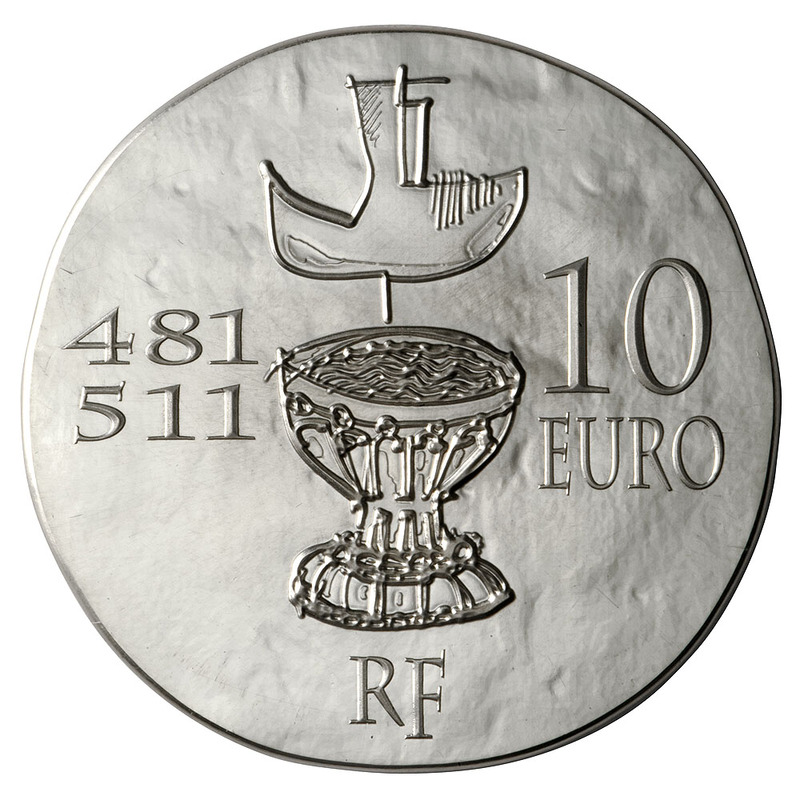 The reverse side depicts Reims’ cathedral baptismal font where Clovis was baptized, the dates of his reign (481–511) and a dove. 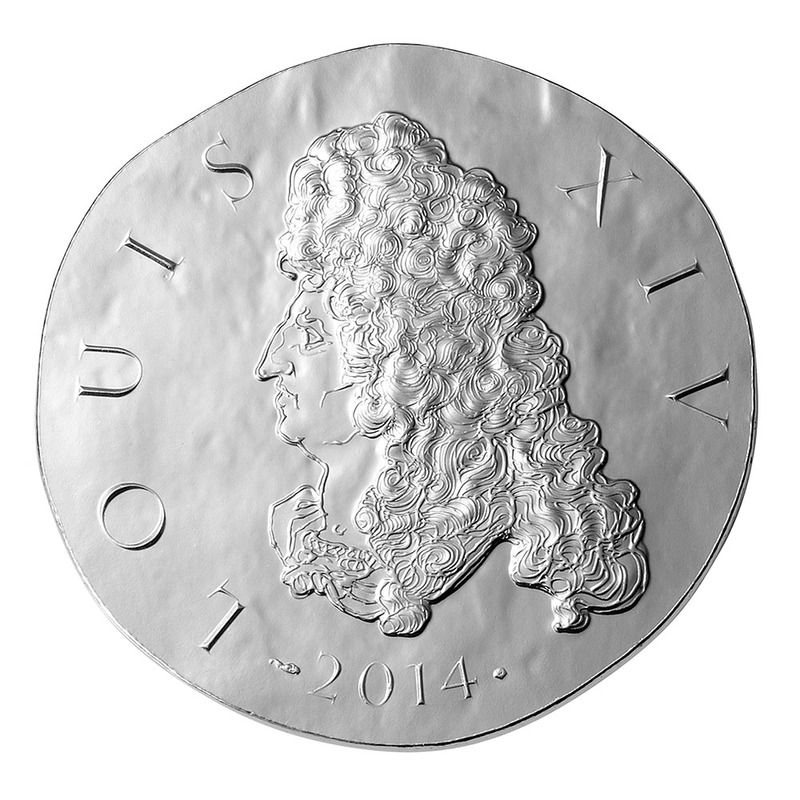 Charles II, also known as Charles the Bald, (823-877) created the law authorizing the State to strike coins. 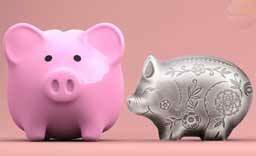 His edict of 864 founded Monnaie de Paris. 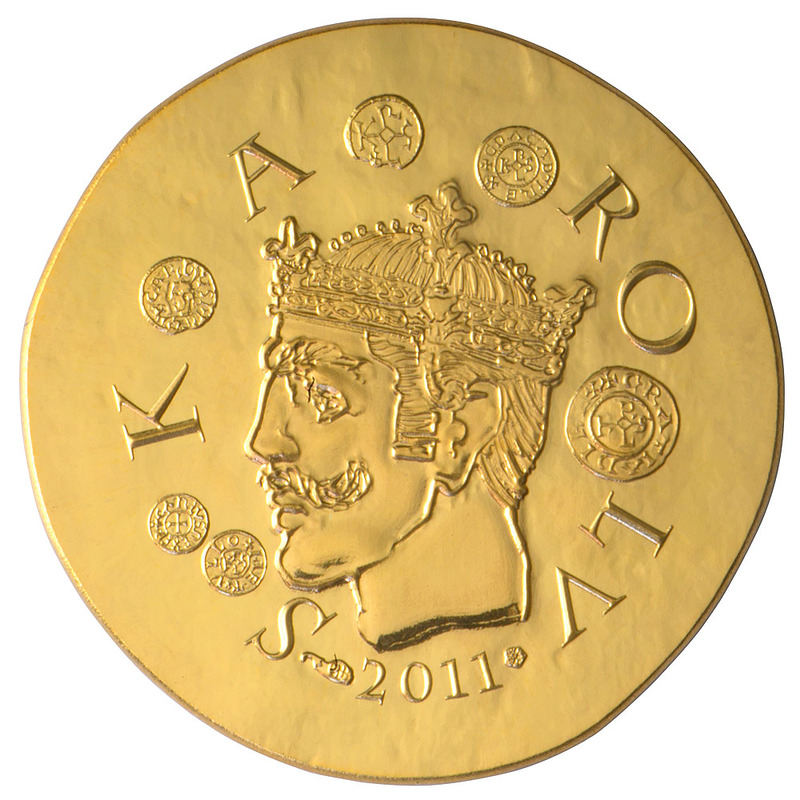 On the obverse side, Charles the Bald is shown with his crown surrounded by his name and coins of his era. 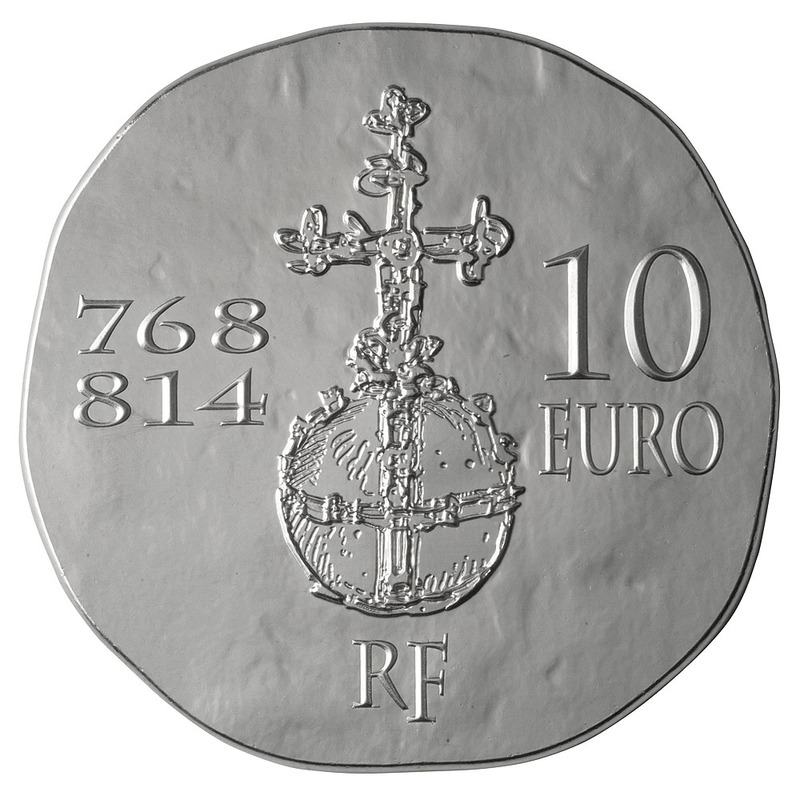 The obverse side depicts Charles the Bald official seal and the dates of his reign (843-877). Charlemagne (742-814) expanded the Frankish kingdom to almost all of Europe through a series of conquests which created a united Europe under the Christian faith. 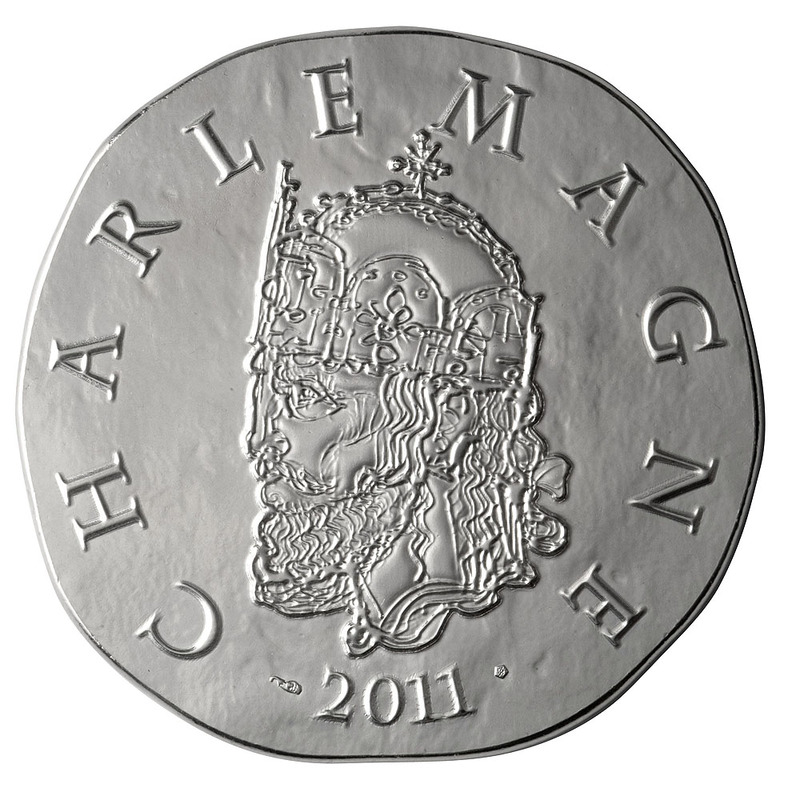 The obverse features a portrait of Charlemagne with his imperial crown surrounded by his name. 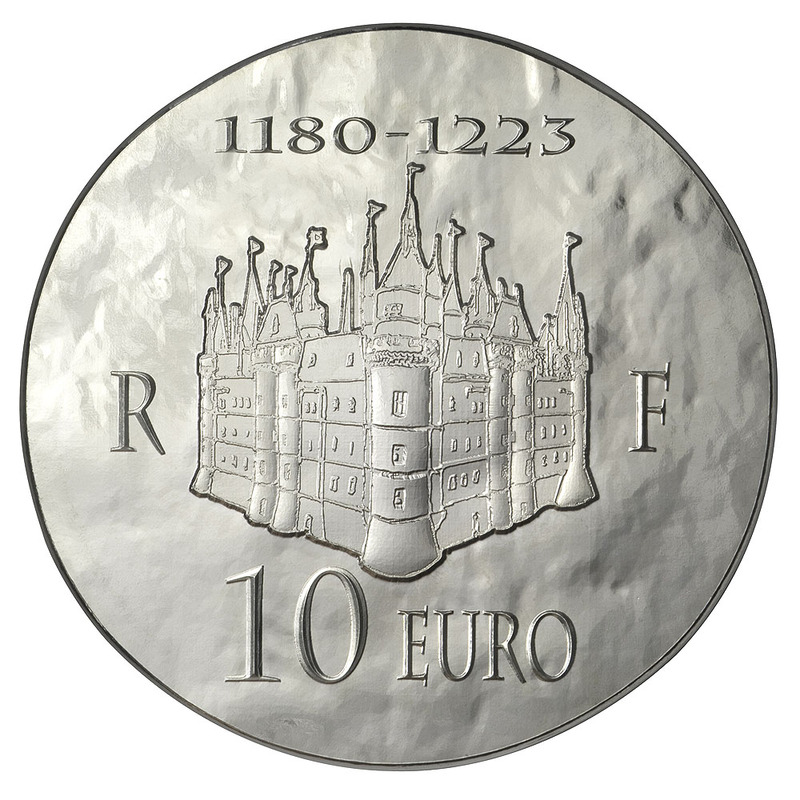 The reverse features his famous globe along with the dates of his reign (768-814). 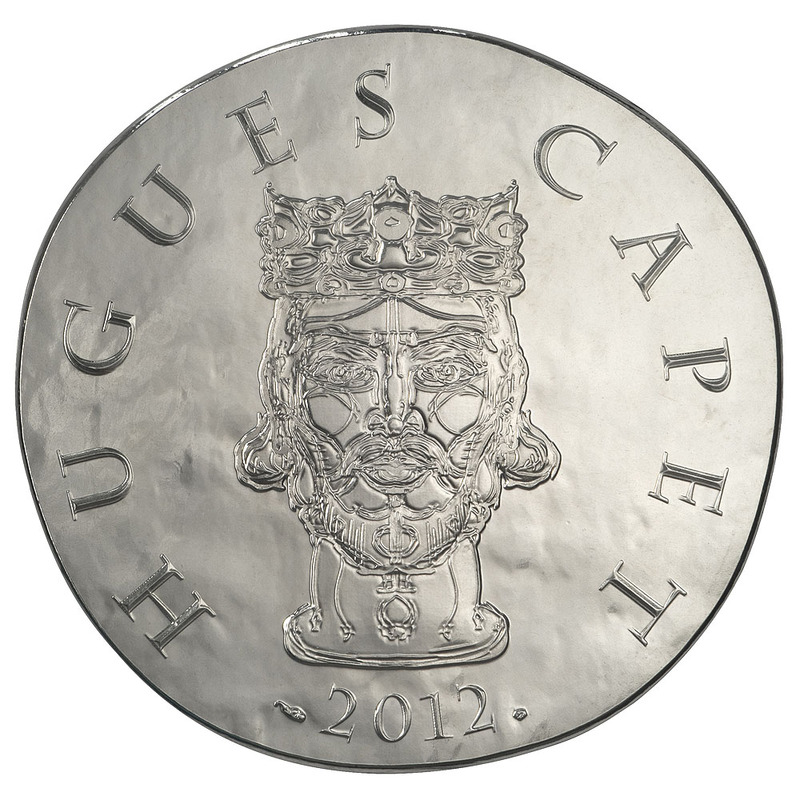 Hugues Capet (940-996) founded the Capetian dynasty which would last for more than 8 centuries. The symbol of this dynasty is the hand of justice representing the righteous and religious power of the King. 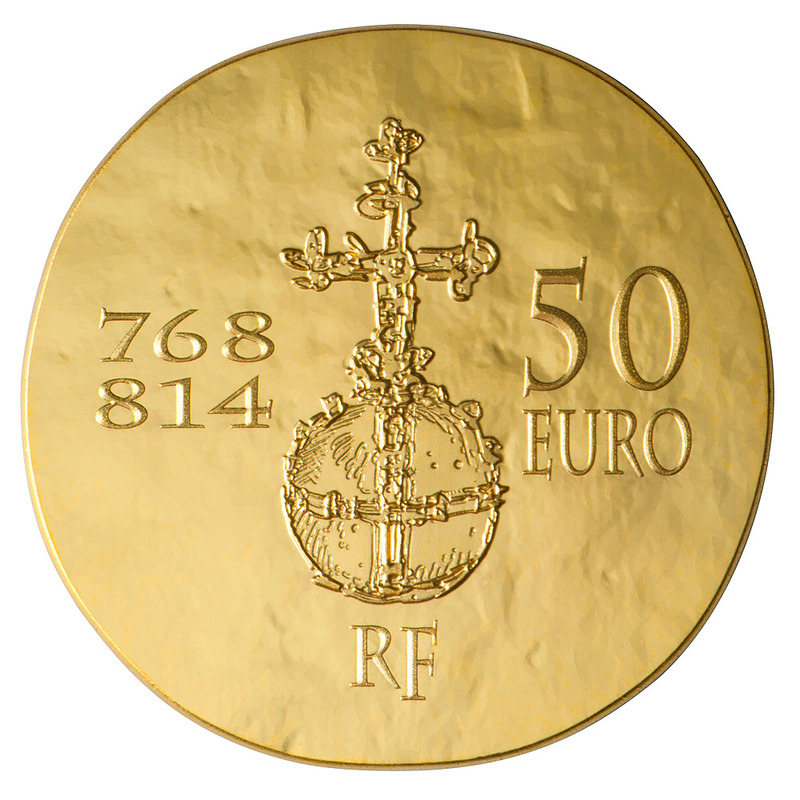 On the obverse, there is a portrait of the King wearing the Capetian crown. 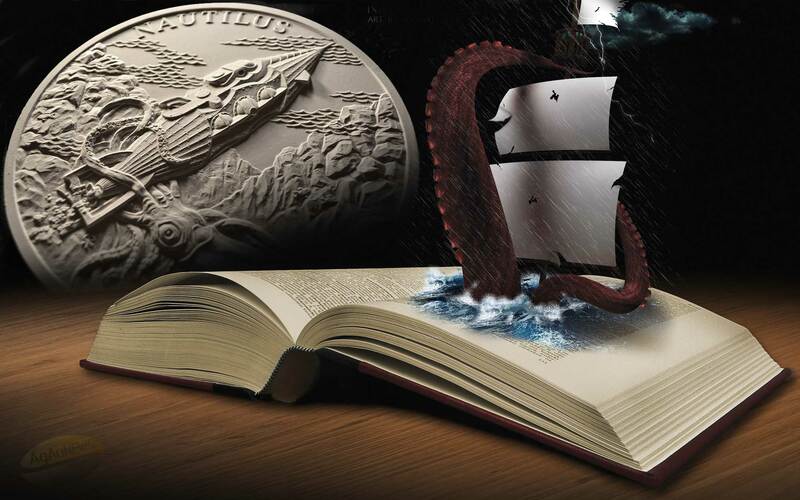 His name appears along the edge of the coin. 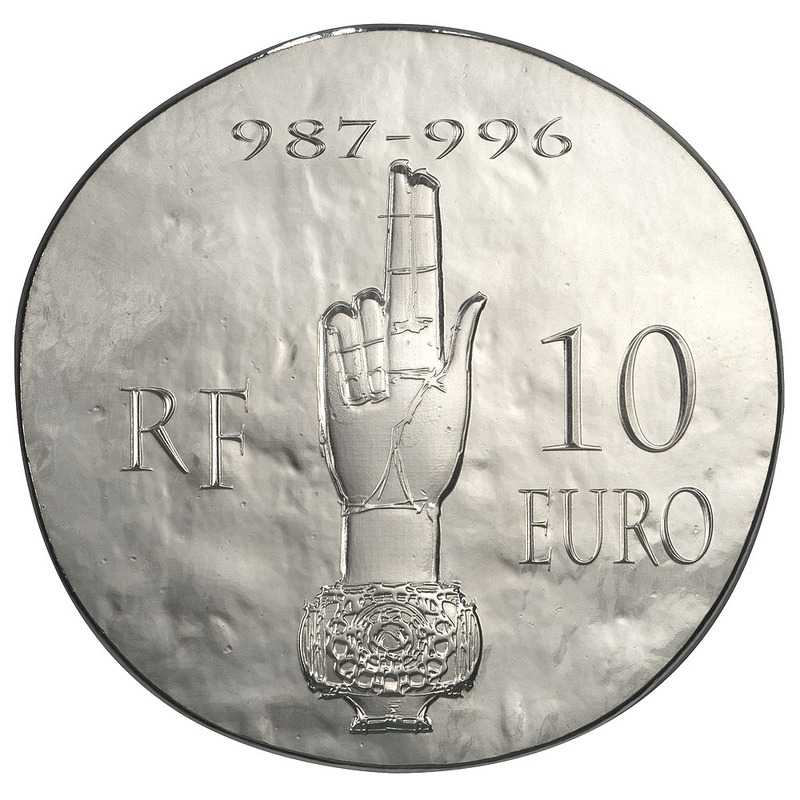 The hand of justice and the dates of Hugues Capet’s reign (987-996) appear on the reverse. 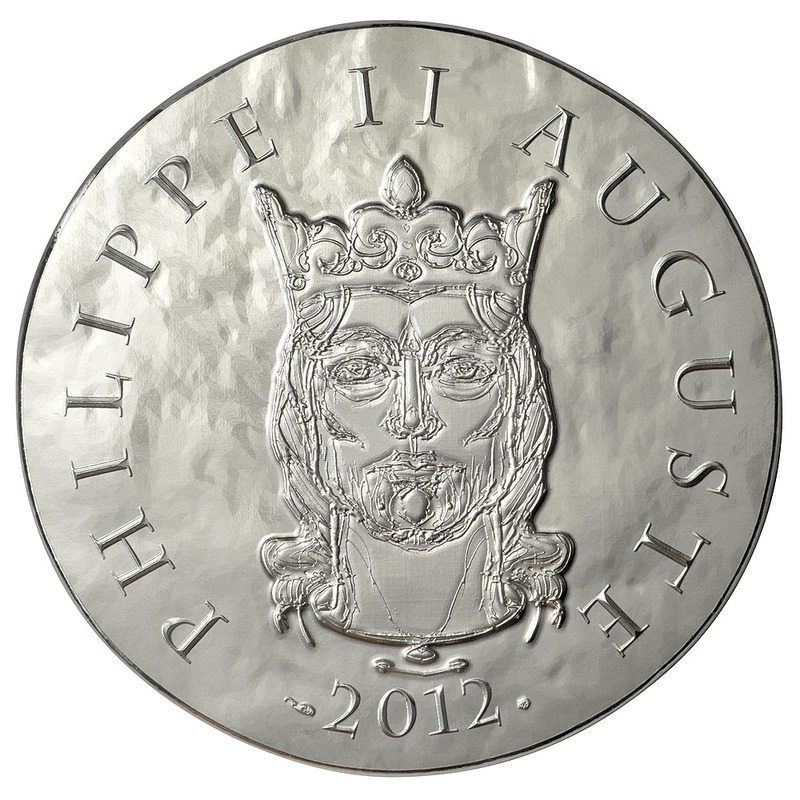 Philippe II Auguste (1165-1223) achieved major military victories which reaffirmed his royal power and brought the Feudal era to an end. He constructed the Louvre in order to demonstrate his resolve to make Paris the capital. 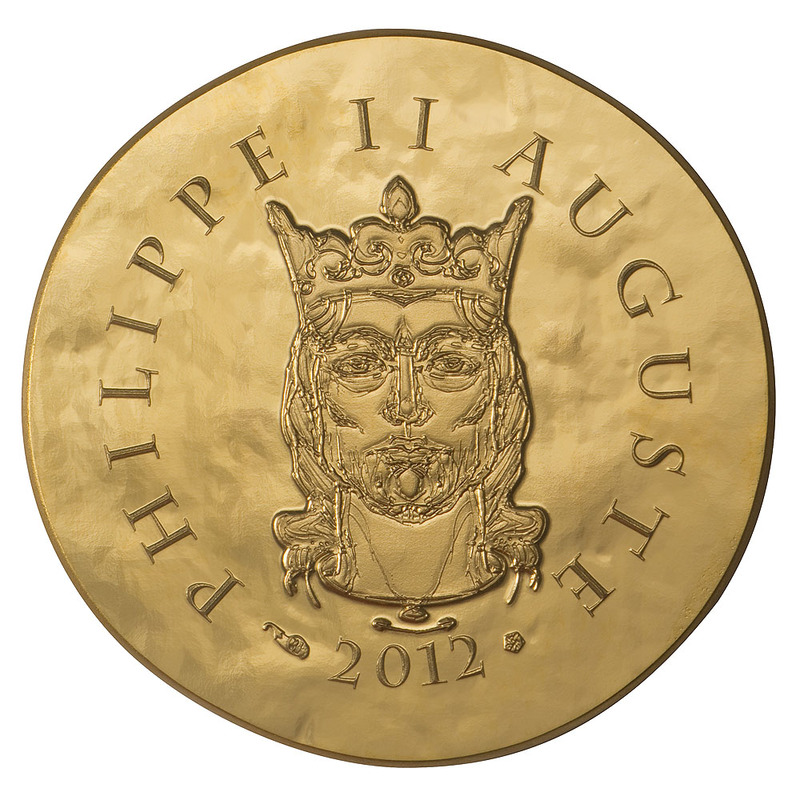 On the obverse, Philippe II Auguste is depicted wearing one of the first crowns to bear the royal fleur de lys. 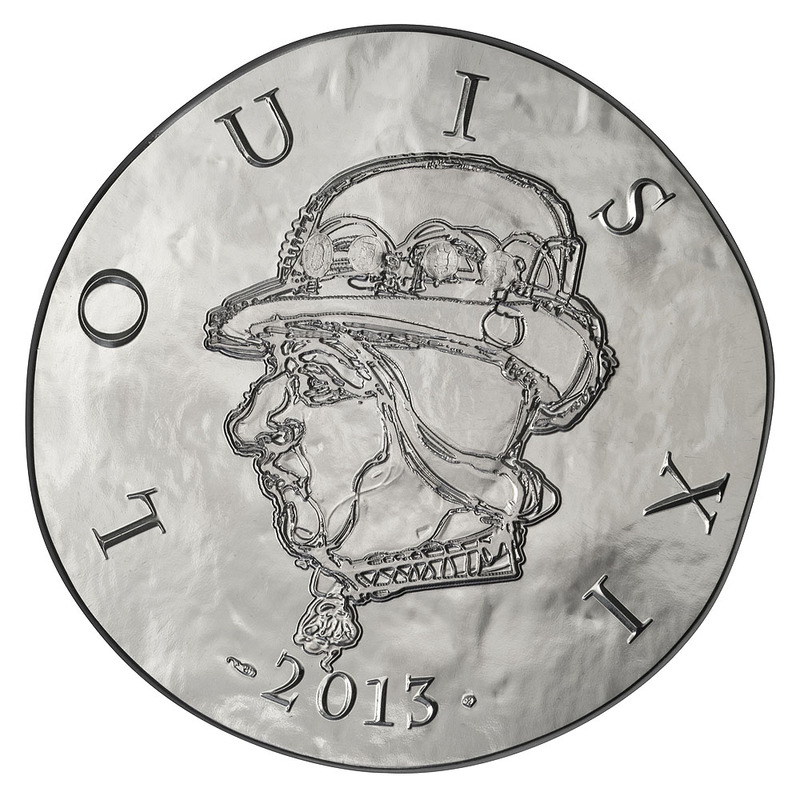 The King’s name appears along the edge of the coin. 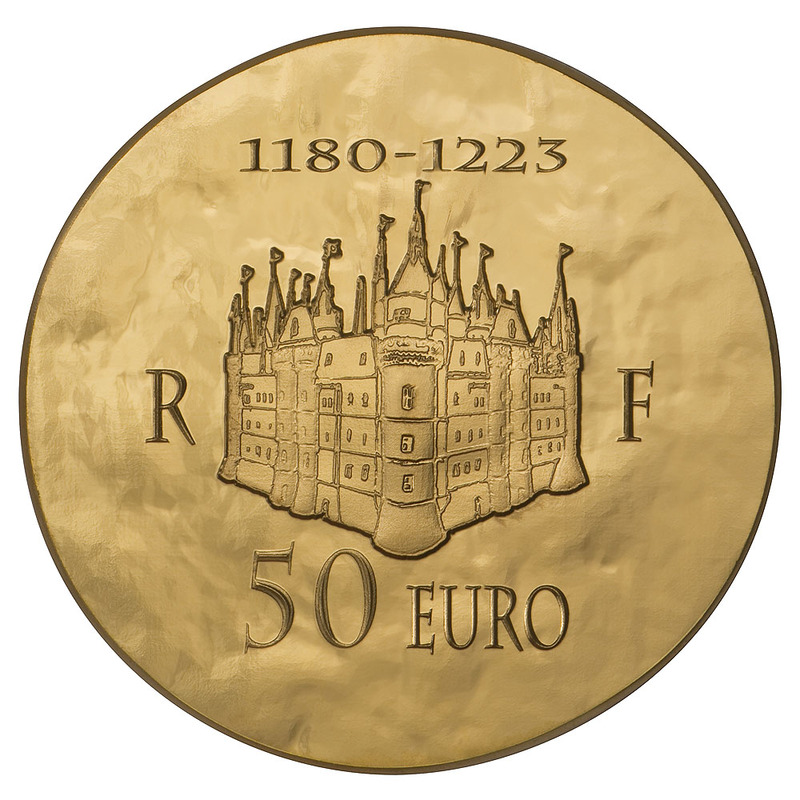 The reverse features the Louvre in Philippe II Auguste’s time. 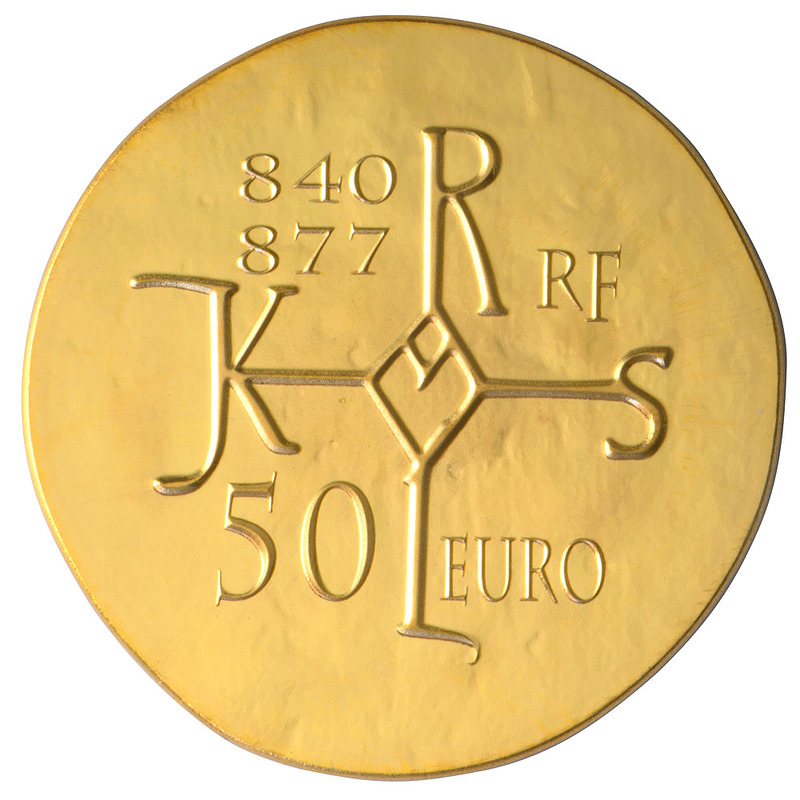 The dates of his reign (1180-1223) also appear at the top of the coin. 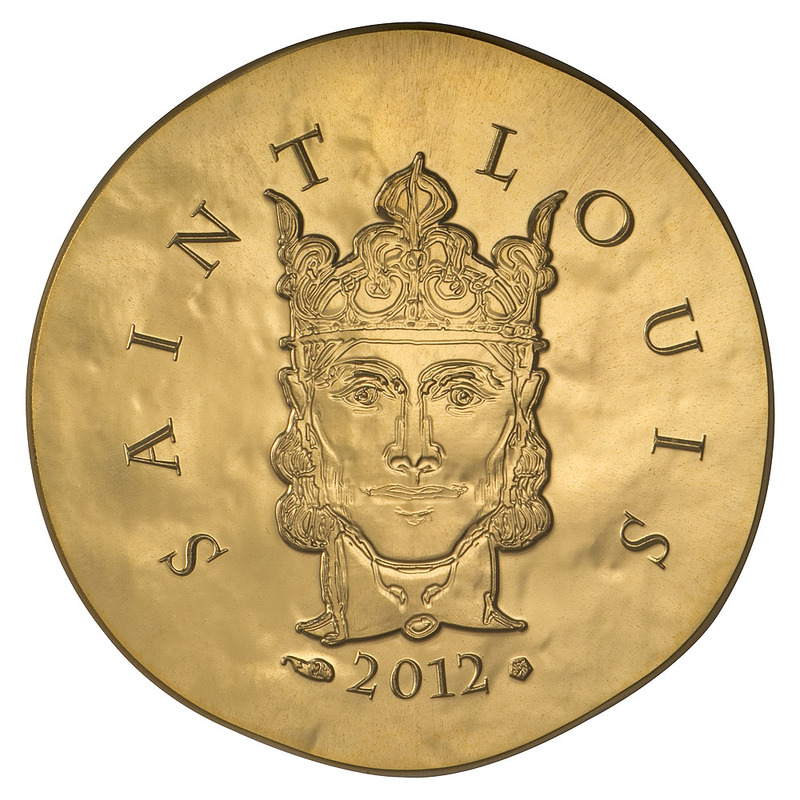 Saint-Louis (1214-1270), also known as Louis IX, was the founder of royal justice where the king assumed the role of “”supreme bestower of justice””. 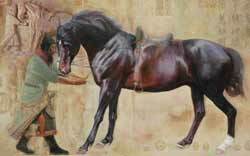 He was often chosen as an arbiter for the quarrels among the rulers of Europe. He was the first French king to be canonised in 1297. 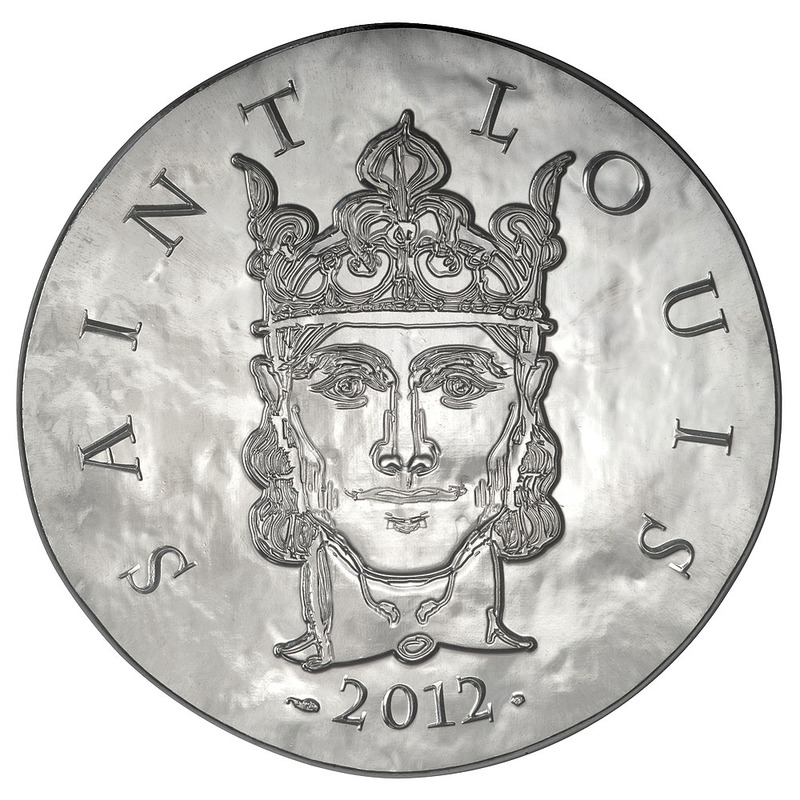 The face of a young Saint-Louis with his crown is depicted on the obverse. 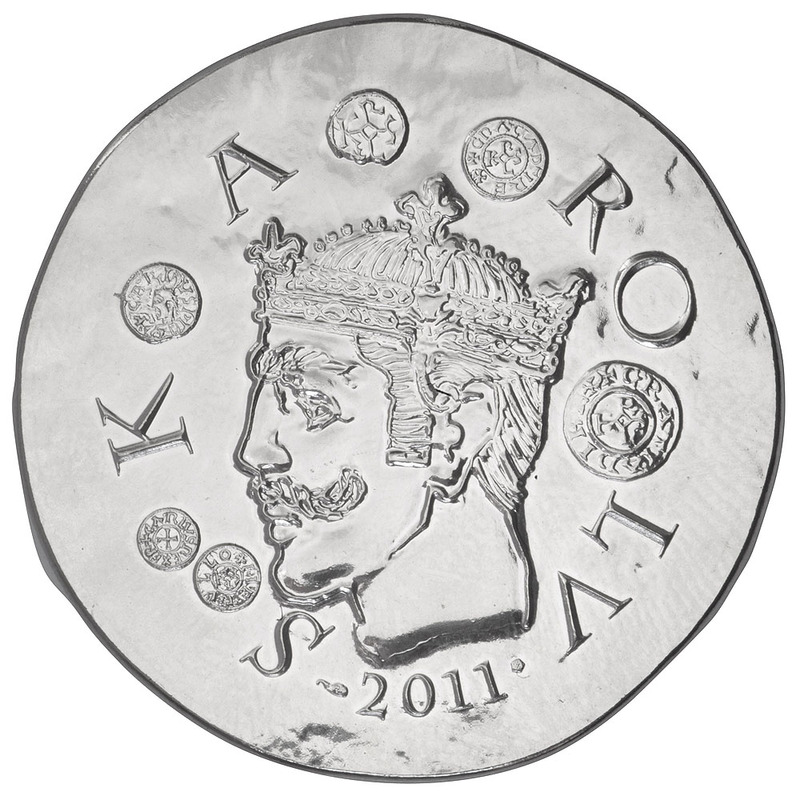 The King’s name appears along the edge of the coin. 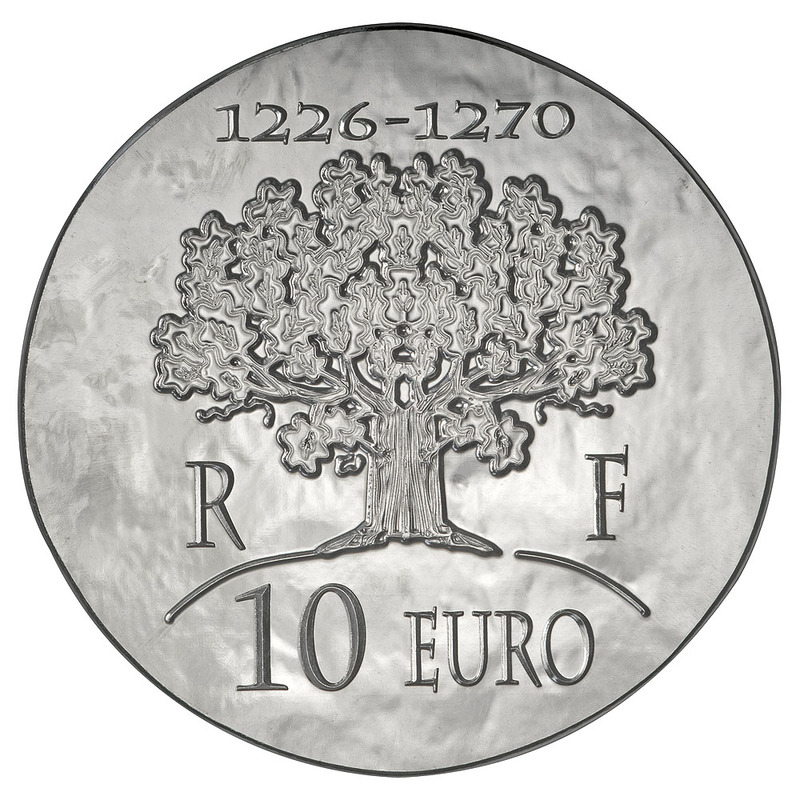 The oak of justice and the dates of Saint-Louis’ reign (1226-1270) appear on the reverse. 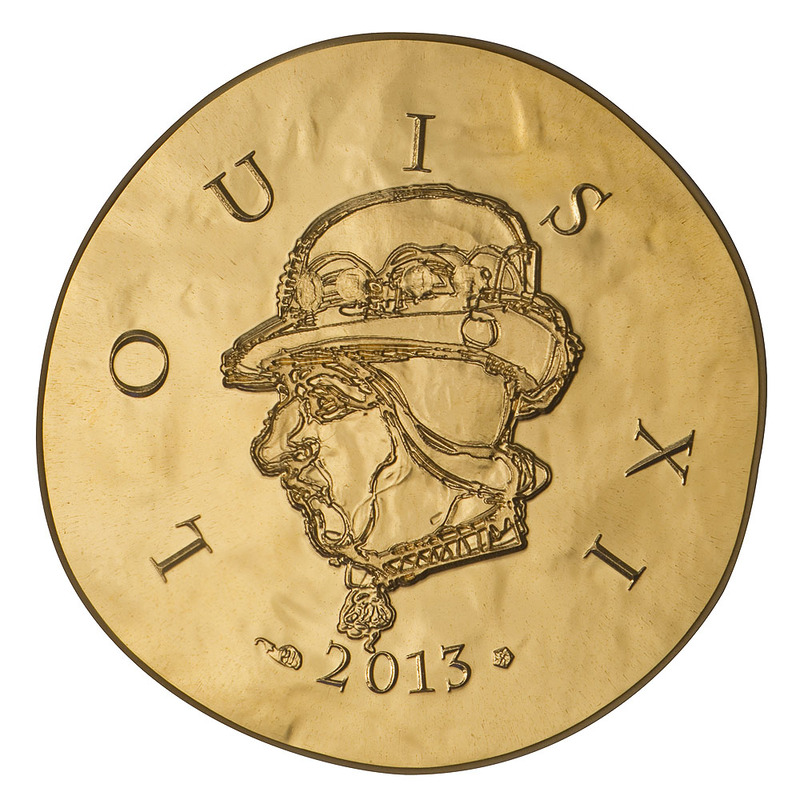 LOUIS XI (1423-1483), known as Louis the Prudent, strengthened the royal authority during his reign from 1461 to 1483. 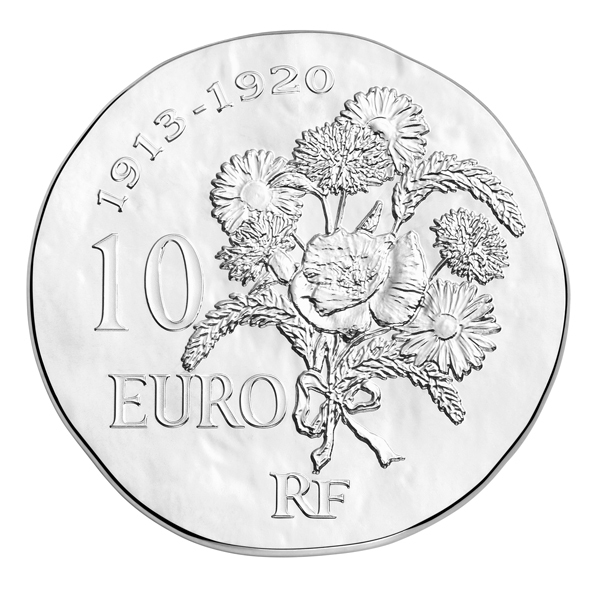 He was responsible for several new additions to the French territory, particularly through the Treaty of Arras. He is also known for founding the French postal system. 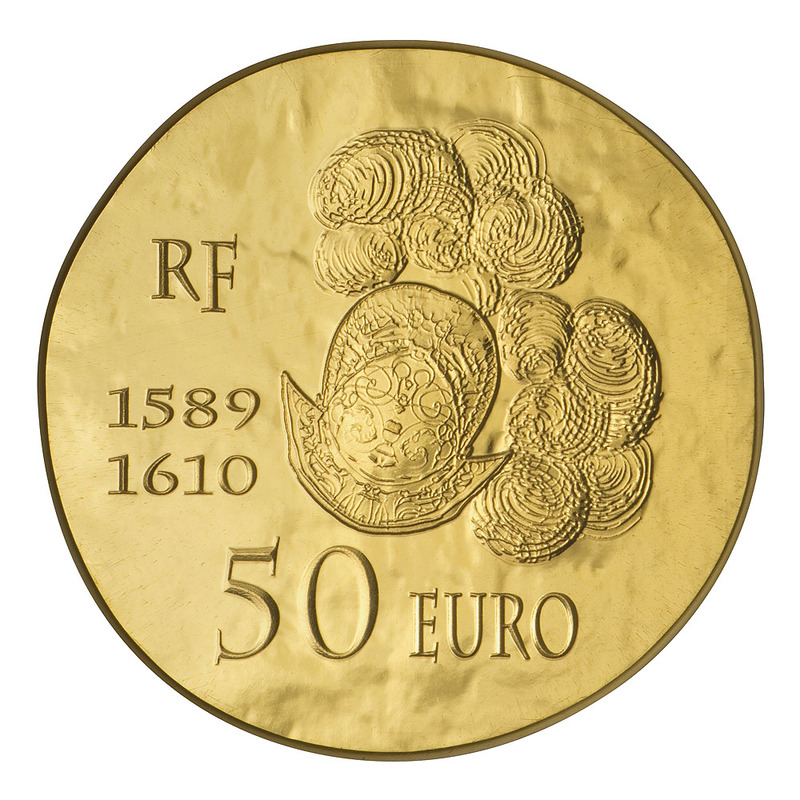 The obverse of the coin displays the profile of Louis XI, wearing his well-known hat decorated with religious medals. 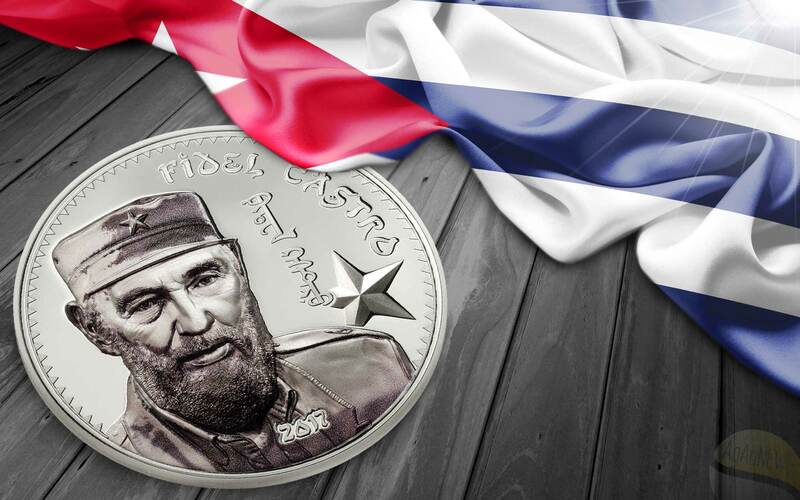 The design of these medals is a reference to the series because they repeat the images of the kings from the previous years. 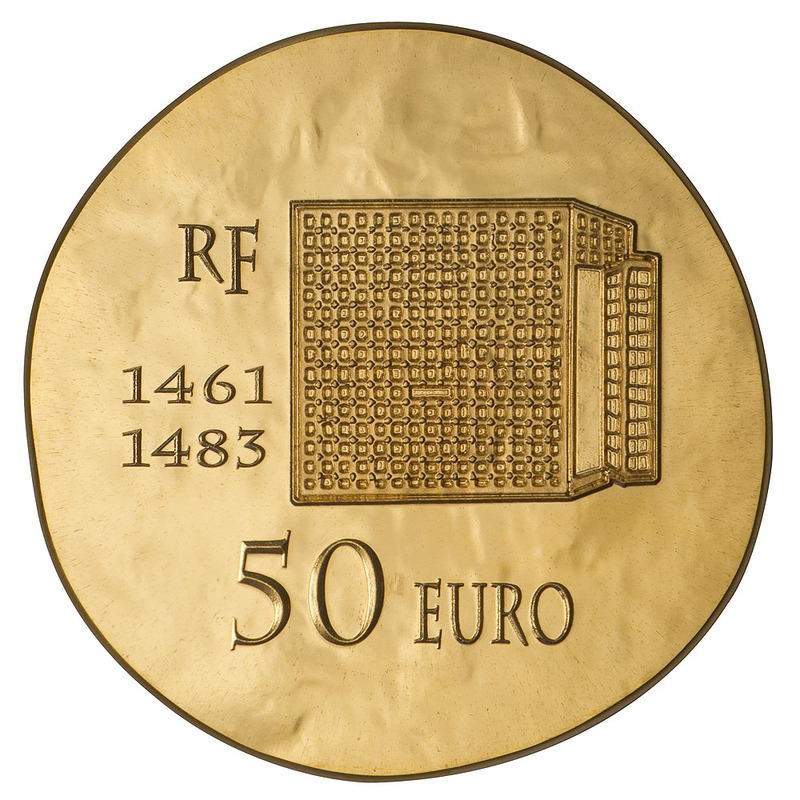 The reverse of the coin represents one of the infamous cages used in the reign of Louis XI. They were known as “fillettes” (“little girls”) because of their small height which prevented the prisoner inside from standing up. On the right of the coin are the dates of the king’s reign: 1461-1483. FRANCIS I (1494-1547) is the king most often associated with the French Renaissance. During his reign, from 1515 to 1547, he encouraged the development of art and literature in France. 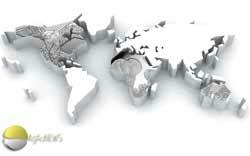 He also issued the Edict of Villers-Cotterêts, which made French the mandatory language for all official documents in the kingdom. 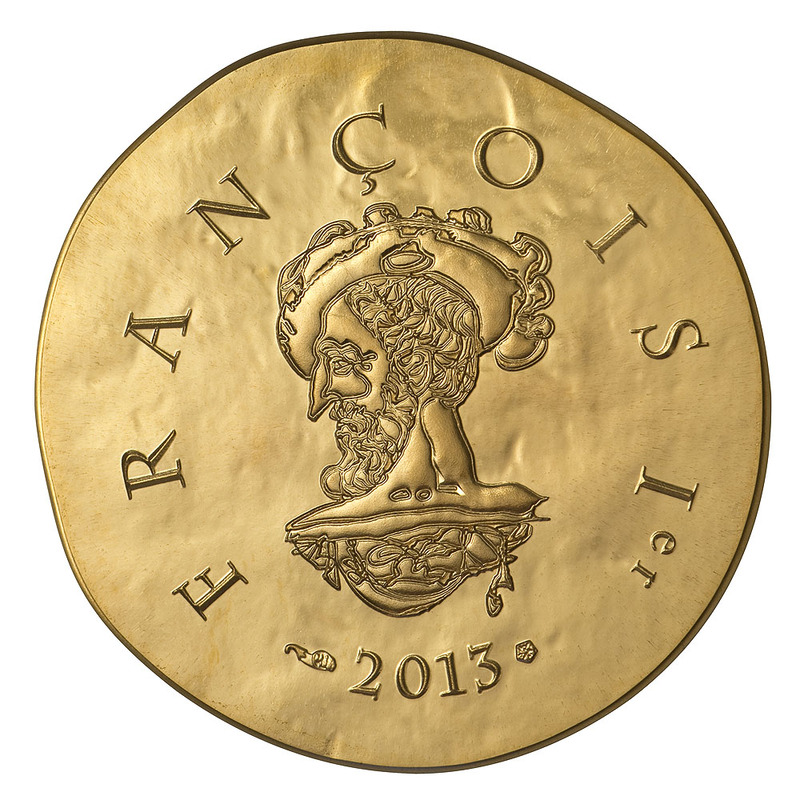 The obverse of the coin presents a profile portrait of Francis I wearing a feathered hat.The reverse features the emblem of Francis I: the crowned salamander. 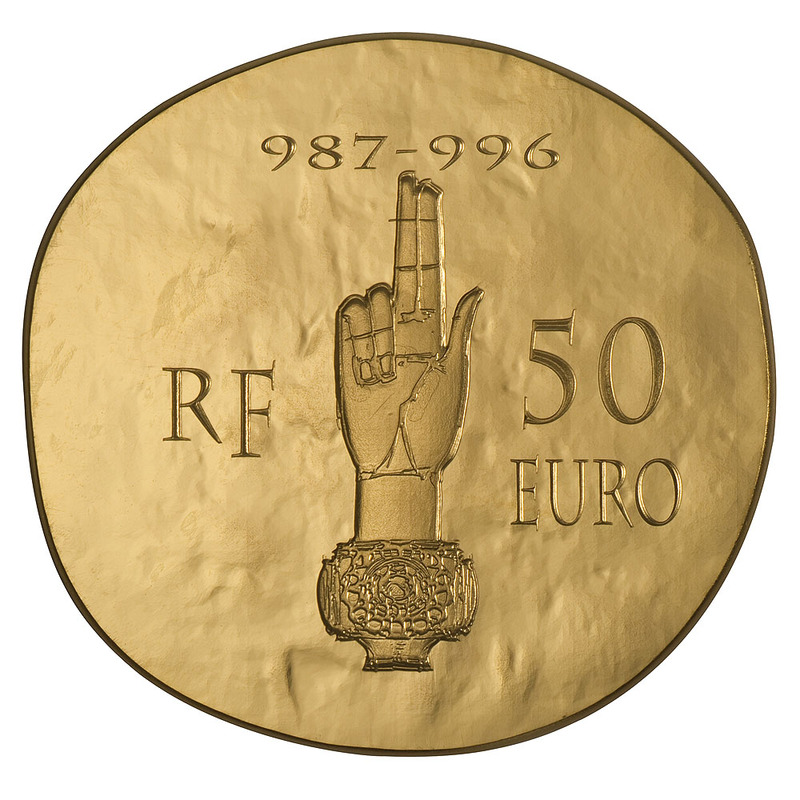 The king started using this symbol when he acceded to the throne in 1515. 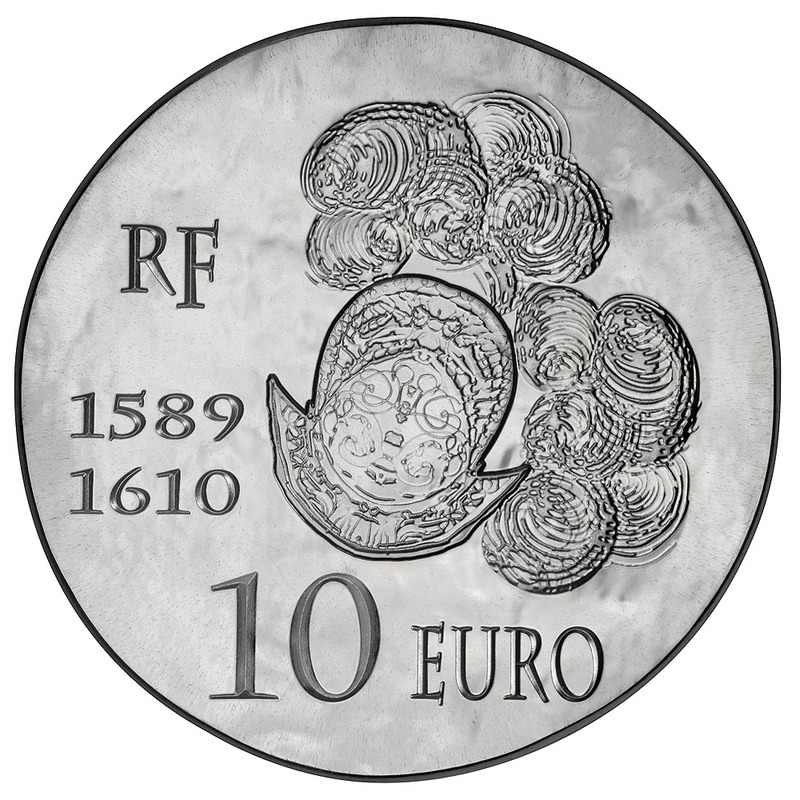 The dates of his reign (1515-1547) also appear on the reverse. 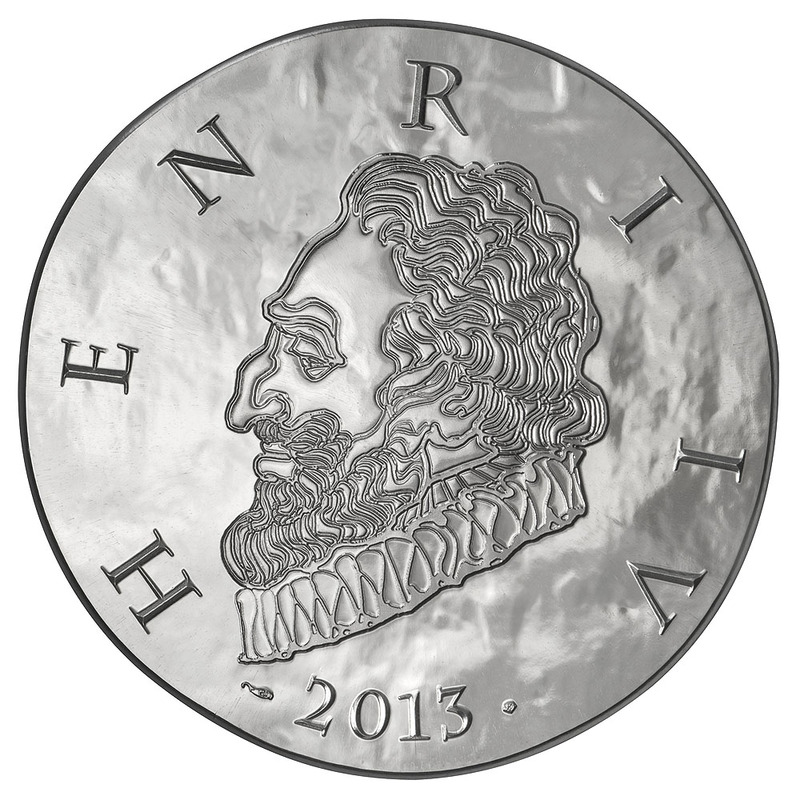 HENRI IV (1523-1610) was the first French King in the Bourbon branch of the Capetian dynasty. He issued the Edict of Nantes, putting an end to the French Wars of Religion between the Catholics and the Protestants. 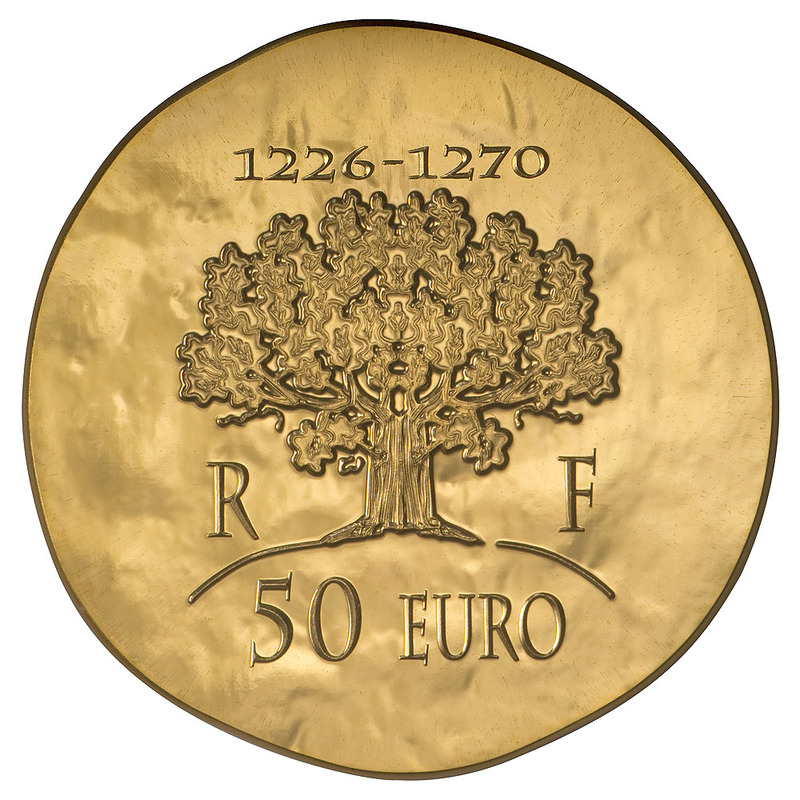 He also revitalised the economy of France during his reign (1572-1610). 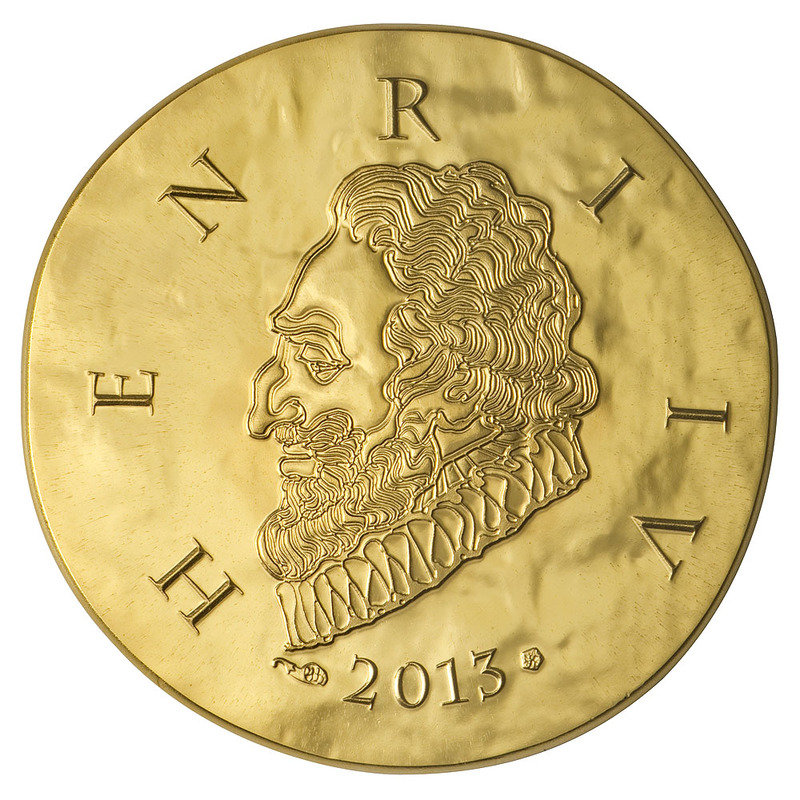 The obverse of the coin presents a profile portrait of the king with the neck ruff that was the fashion of that era. 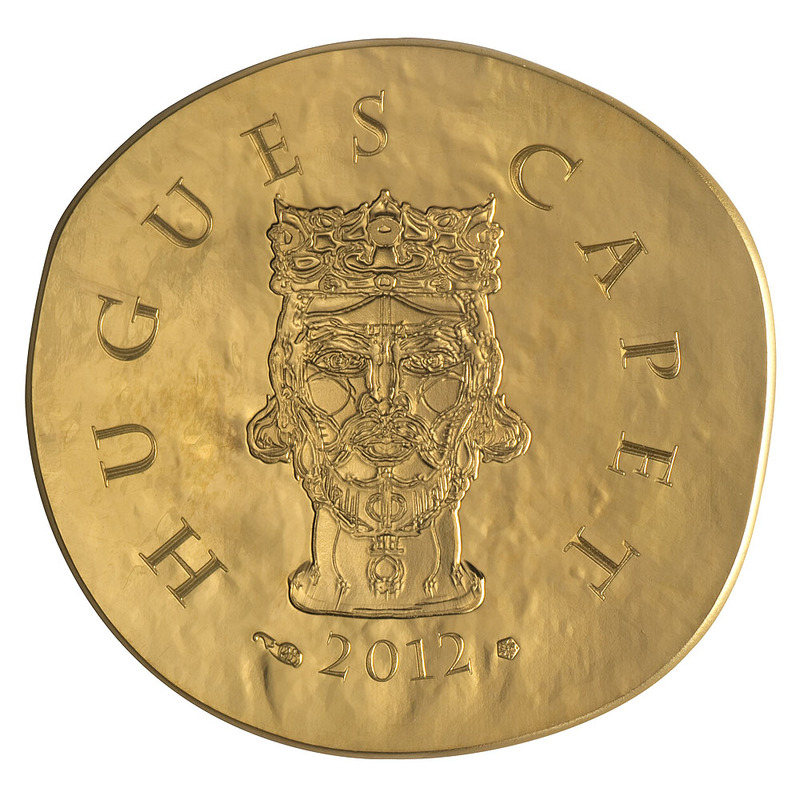 The reverse shows Henri IV’s iconic helmet with its panache of white feathers which inspired his famous message to the troops in the royal squadron. As they were about to go into battle with too few men, he cried “If you lose your ensigns, do never lose sight of my panache; you will always find it on the road to honour and victory”. 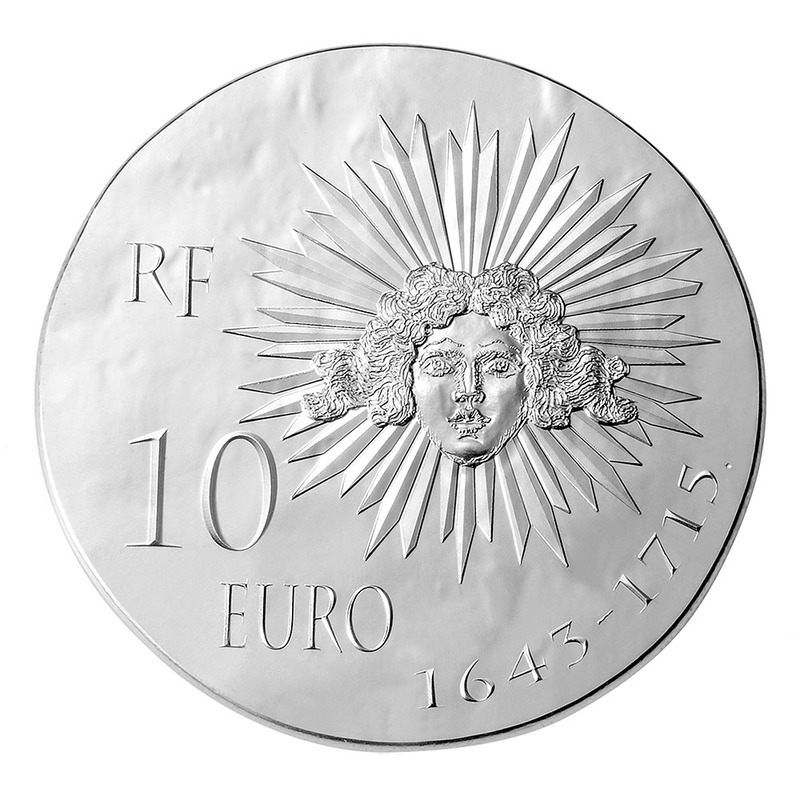 Louis XIV (1638 – 1715), also known as Louis the Great or the Sun King, came to power on 14 May 1643. His 72-year reign was one of the longest in European history. He required obedience at all levels of society and created a centralised state, which allowed him to protect his kingdom. Louis XIV left behind him an influential France, as is attested to by the building of the Palace of Versailles. 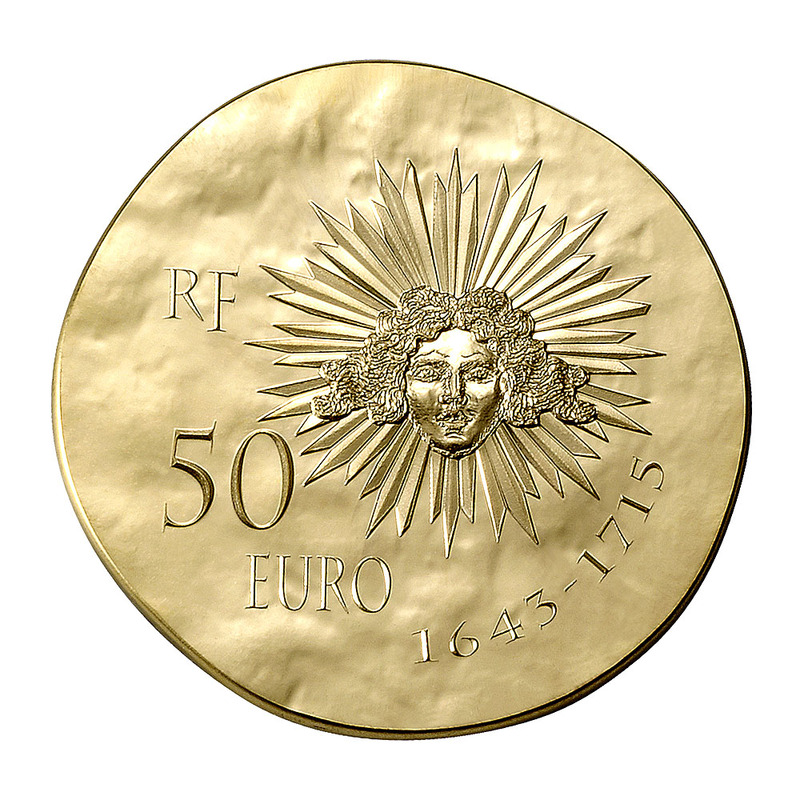 The obverse shows a portrait of Louis XIV wearing a long wig (in the 17th-century style) in Christian Lacroix’s characteristic style. 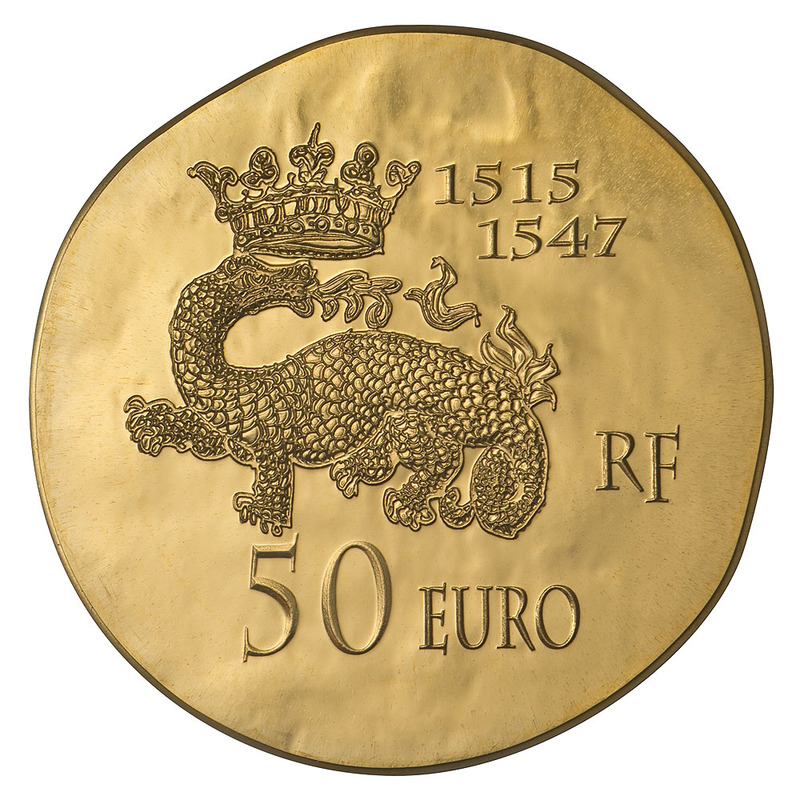 The Sun, Louis XIV’s emblem, is accompanied on the reverse by the dates of his reign: 1643 – 1715. Napoleon I (1769-1821), First Consul of France, lastingly reorganised, reformed and modernised the French state and society. Among other achievemnts, he established a centralised administration, the French Civil and Penal Codes, the Lycee school system and the French Baccalaureate. Proclaimed Emperor in 1804, he ruled over the greater part of Western Europe, which he conquered through long wars, until his defeat at Waterloo in 1815, which ended the Empire. He died in exile on the island of St.Helena in 1821. 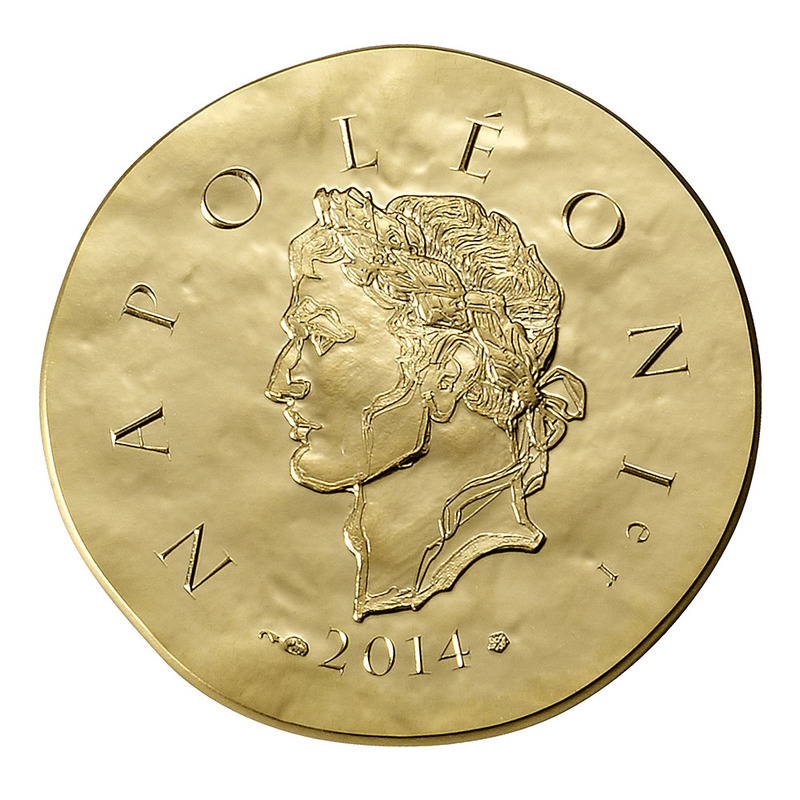 The obverse shows the profile of Napoleon I wearing a laurel wreath. This pose is reminiscent of antique aesthetic traditions, which he brought back into style throughout his reign. 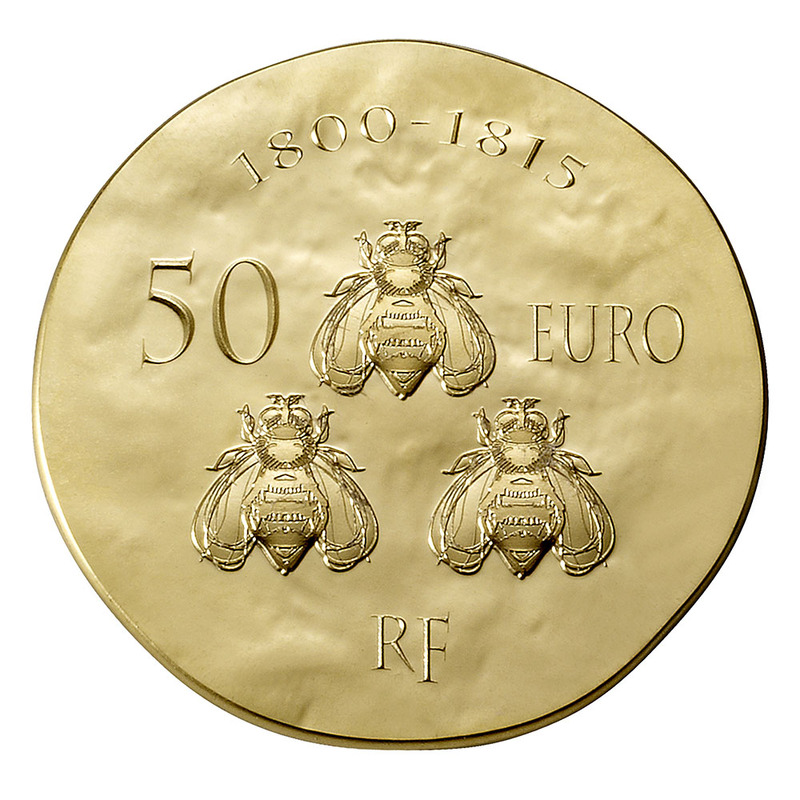 Three imperial bees figure on the reverse of the coin. 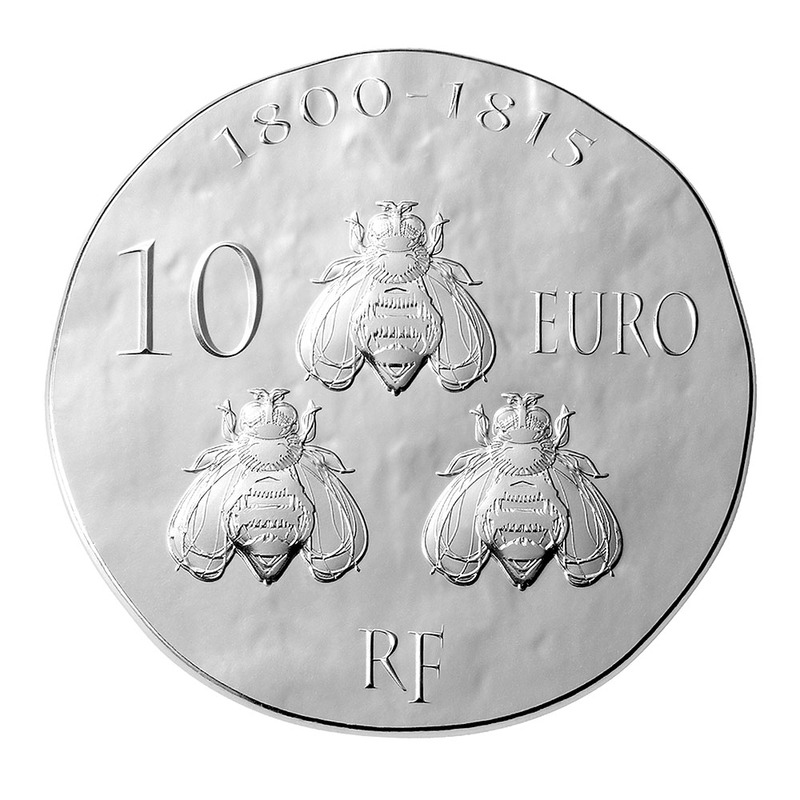 A symbol of immortality and resurrection, the bees were chosen by Napoleon to associate the new dynasty with France’s royal origins. 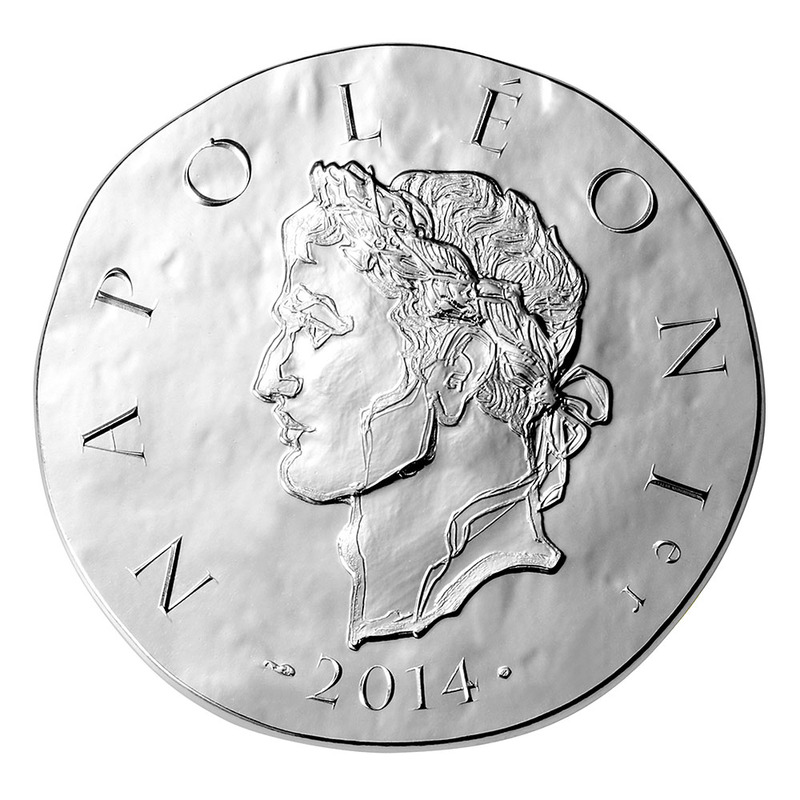 The dates of Napoleon I’s reign (1800-1815), including both the Consulate and the First Empire, appear on the upper part of the coin. Nephew of Napoleon I, Napoleon III (1808-1873) was also known as Charles Louis Napoleon Bonaparte and Louis-Napoleon Bonaparte. He was the first president of the Second French Republic and was elected on 10 December 1848 by universal male suffrage. 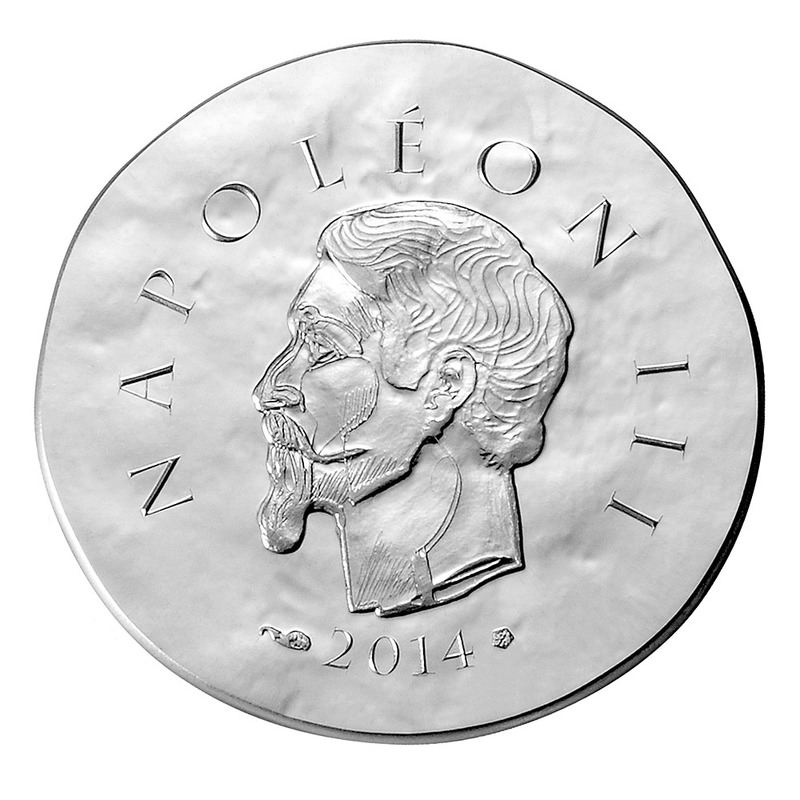 He was later proclaimed Emperor of the French on 2 December 1852 under the name Napoleon III as the result of a coup.His reign was marked by robust industrial, economic and financial development in France. The transformation of Paris under the direction of Baron Haussmann, is one of the most visible signs of this evolution of France’s appearance. 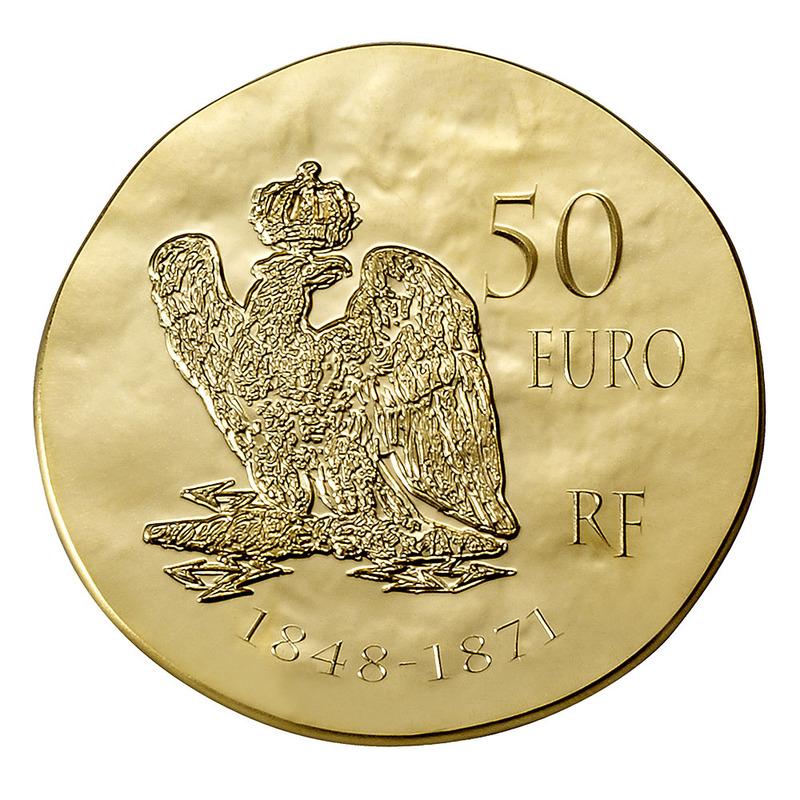 Following his defeat at Sedan, the Third Republic was proclaimed on 4 September 1870 and Napoleon III was stripped of his title of Emperor on 1 March 1871. He died in Exile in England in January 1873. 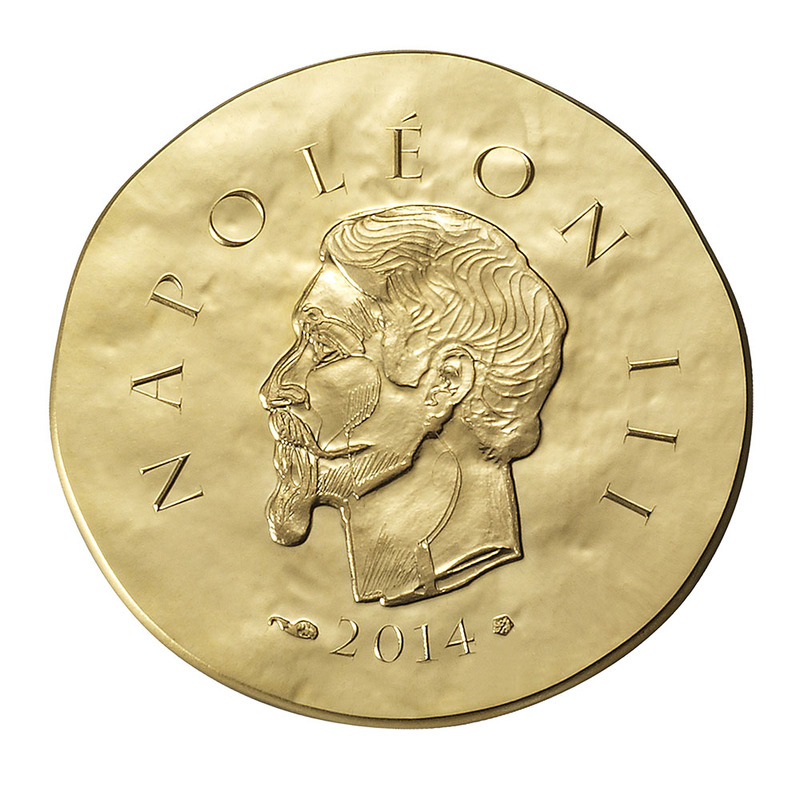 The obverse shows a portrait in profile of Napoleon III sporting his goatee known as the “imperial beard”, which was characteristic of his era. 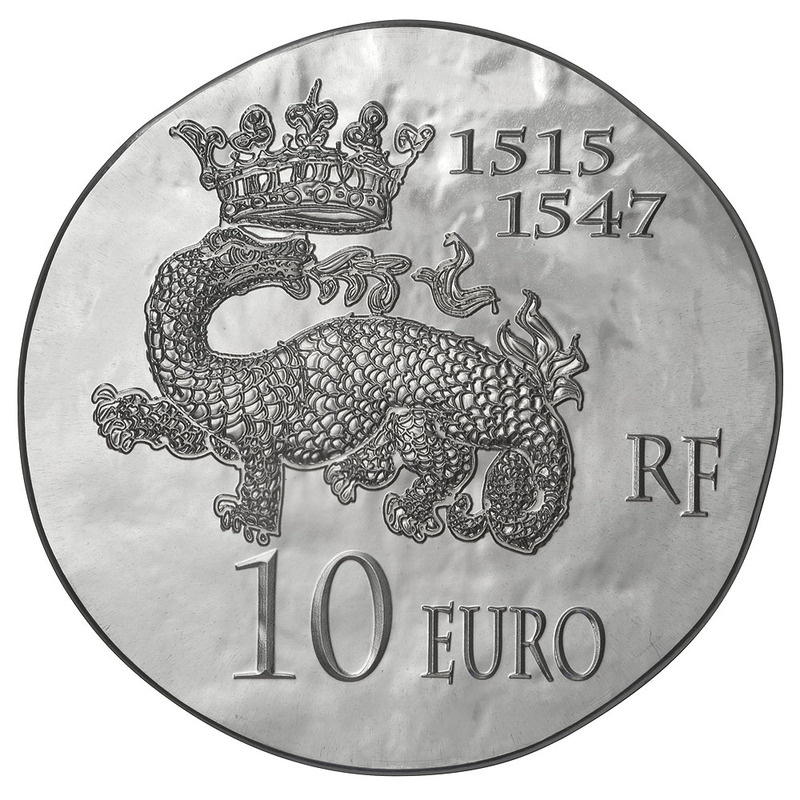 An imperial eagle appears on the reverse. 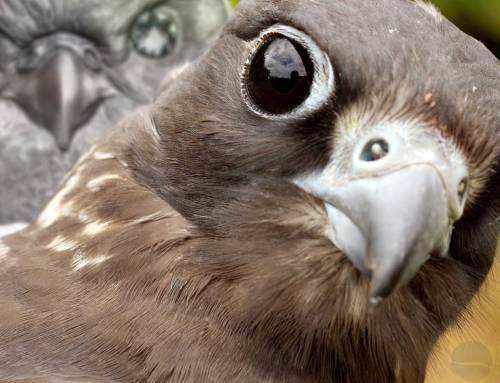 An emblem of the First and SecondEmpires, the bird of Jupiter has been associated with military victories since ancient times. 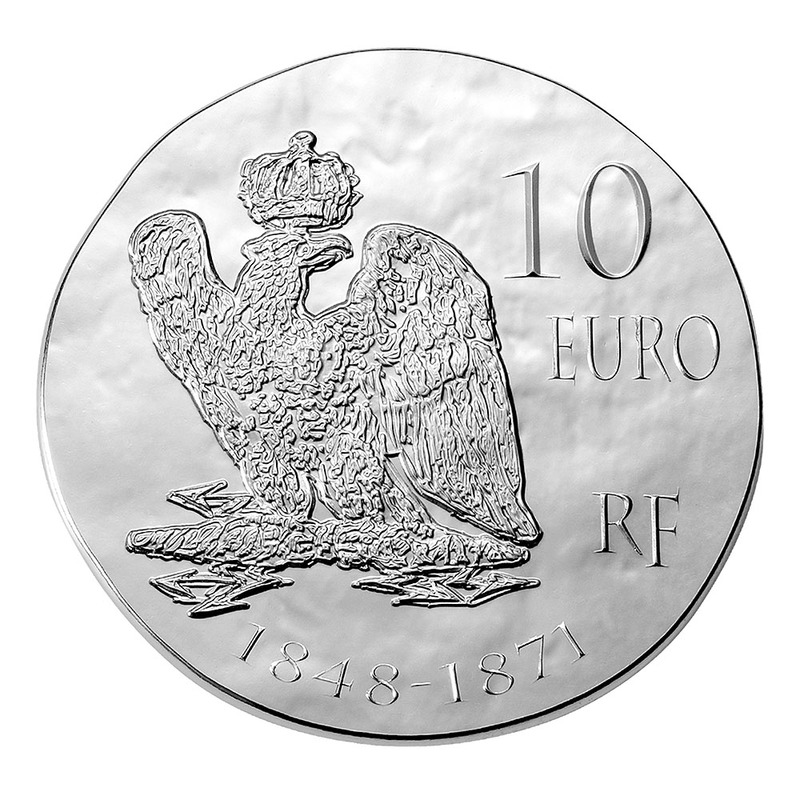 The time period of the reign of Napoleon III (1848-1871), spanning the Second Republic and the Second Empire, figures on the lower part of the coin. 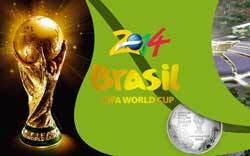 Our favourite of the three designs this year as it’s the one most in keeping with the aesthetic of earlier years. 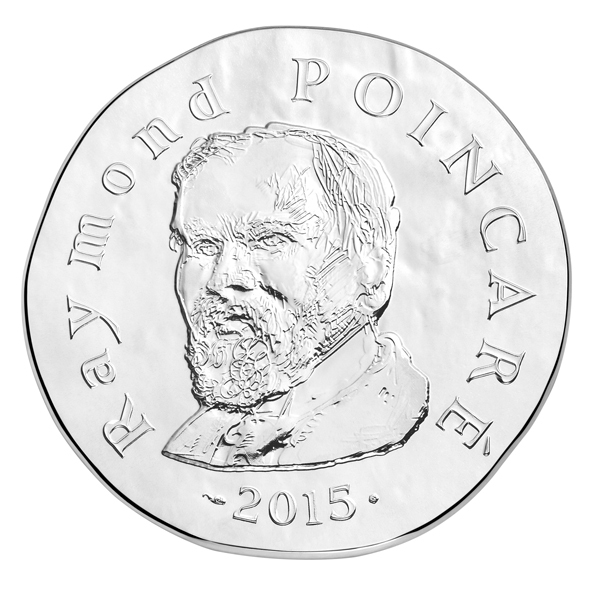 OBVERSE: Depicts Raymond Poincare’s portait, around which is inscribed his name and the date of issue. 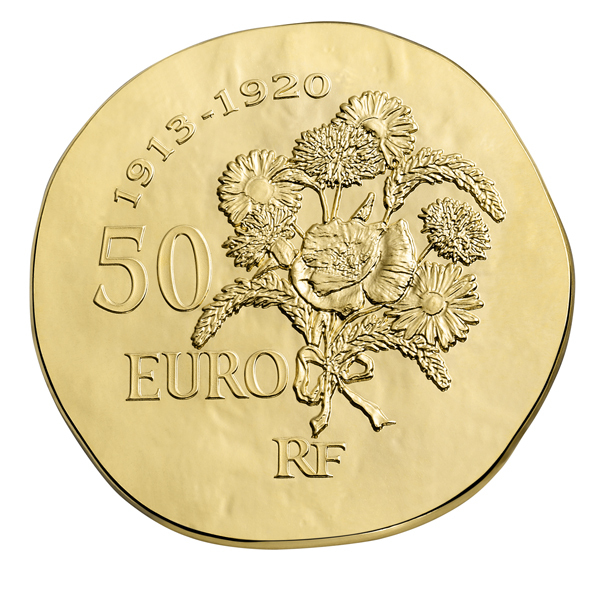 REVERSE: Depicts a cornflower and the poppy which are a reference to the period of the First World War that has marked Poincaré’s presidency. The dates 1913-1920 are to be found inscribed at the bottom. 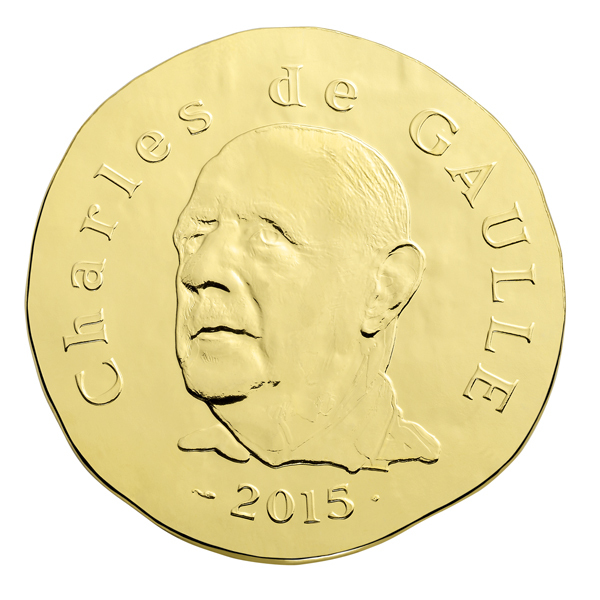 They reflect the duration of his mandate as President of the French Republic. Always a controversial figure and one widely disliked amongst his allies, his influence on 20th century France is undeniable. Possibly the weakest of the three designs this year, it’s a testament to the quality of the series as a whole that it’s still an excellent piece of work. 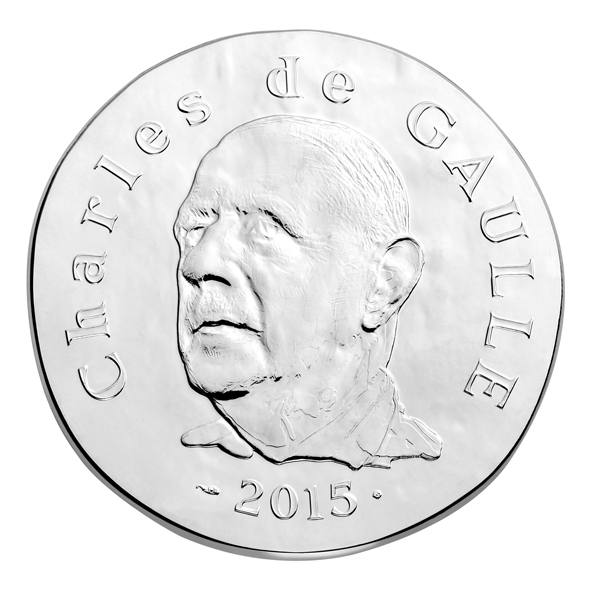 OBVERSE: Depicts Charles de Gaulle’s portait, around which is inscribed his name and the date of issue. 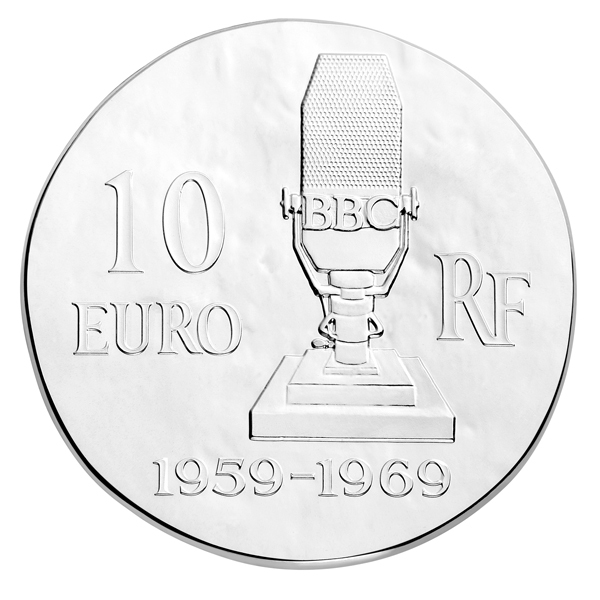 REVERSE: Depicts a period BBC microphone, reminding us of the speech Charles de Gaulle gave on the 18th of June 1940 from London. His call for resistance was broadcasted on the day after Marshall Petain had pronounced armistice. The dates 1959-1969 sign the duration of his mandate as President of the Repulic, and are inscribed at the bottom. 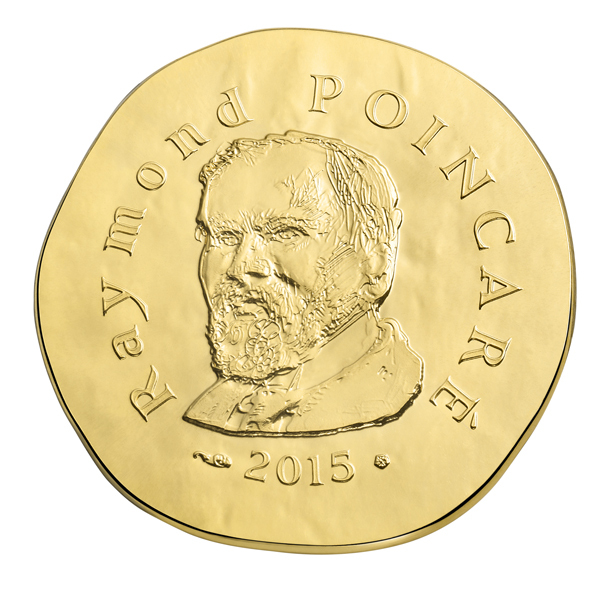 We weren’t sure if the practice of releasing a single design in the 1oz gold format that was started last year would continue, but there is to be one. 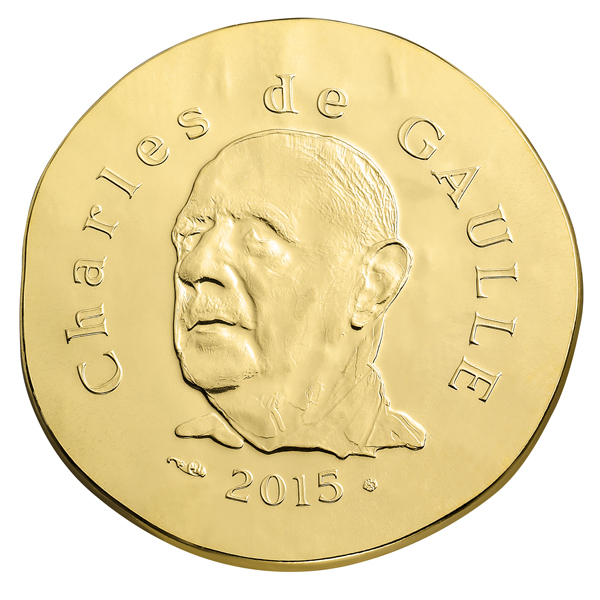 Disapponintingly it’s the De Gaulle coin, but this size does remain the nicest of the Clovis coins. 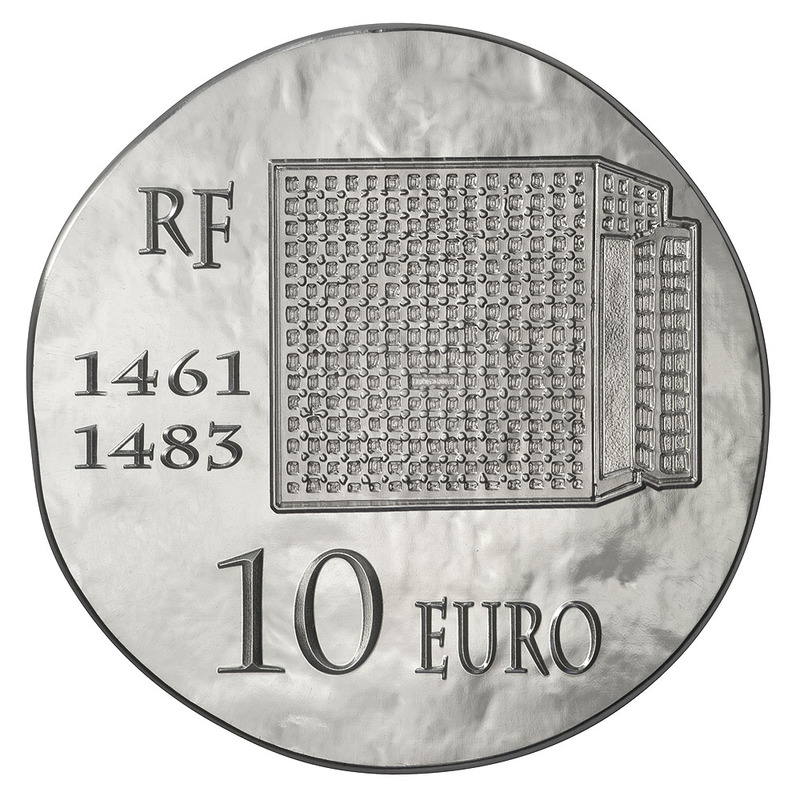 A nice design, especially the obverse which ranks as about the finest use of the Euro symbol in coin art we’ve seen to date. 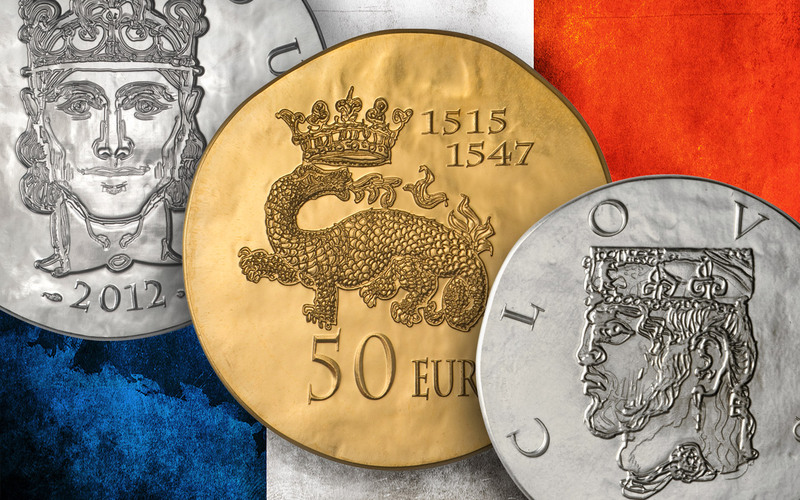 The portrait on the reverse is excellent, although we think all three releases lack the sheer style of the earlier coins, an inevitable result of moving away from medieval design. 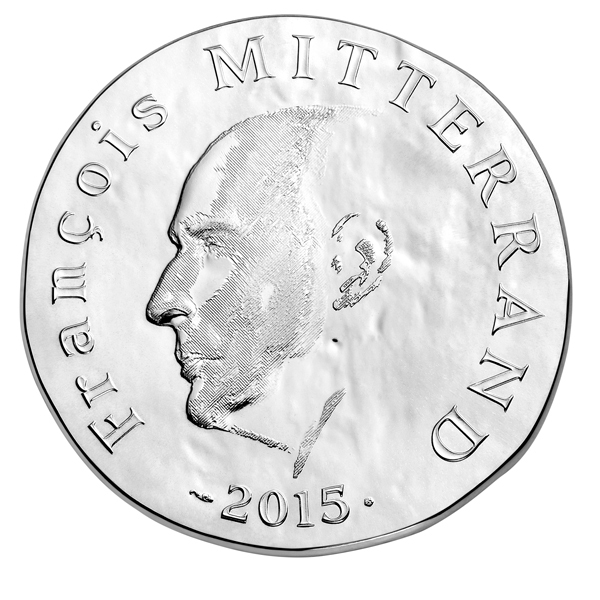 OBVERSE: Depicts Francois Mitterand’s portait, around which is inscribed his name and the date of issue. 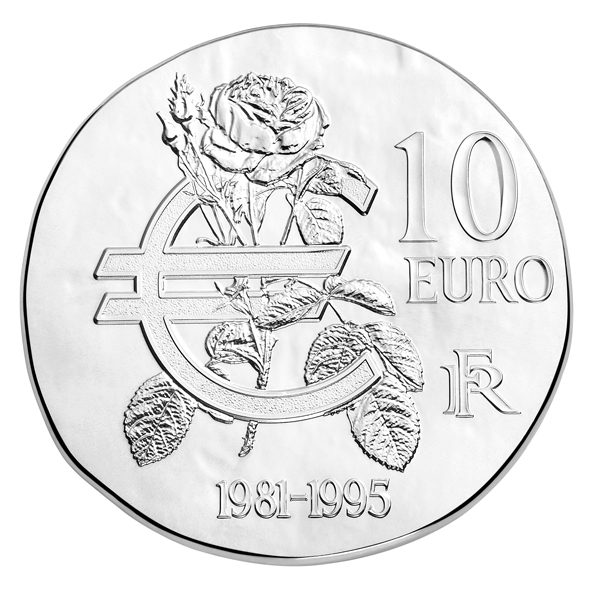 REVERSE: Depicts a rose, symbol of the Socialist Party, represented by François Mitterrand from 1971 to 1995. 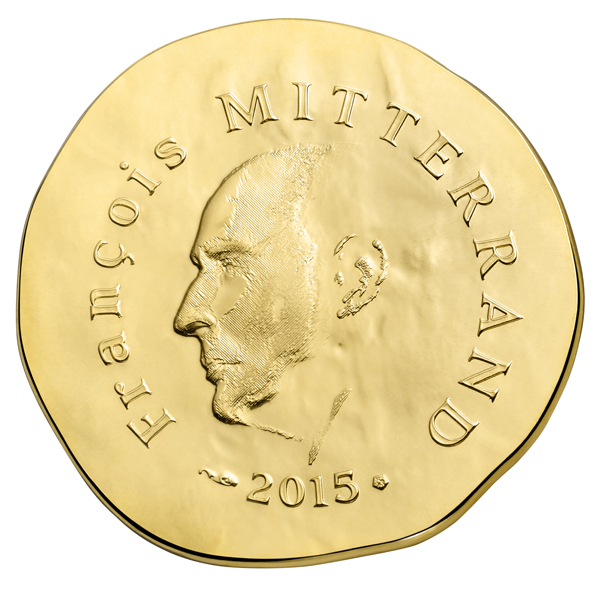 The dates of Mitterrand’s mandate as President of the Republic (1981-1995) also appear on the reverse. 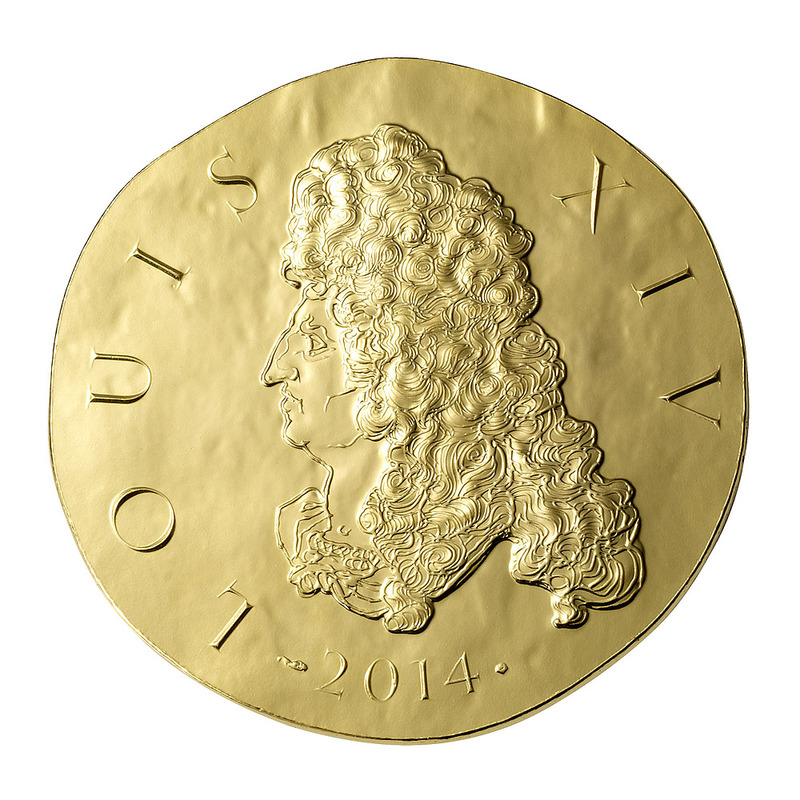 Only the 2014 release, Louis XIV is available in the 200 Euro version. 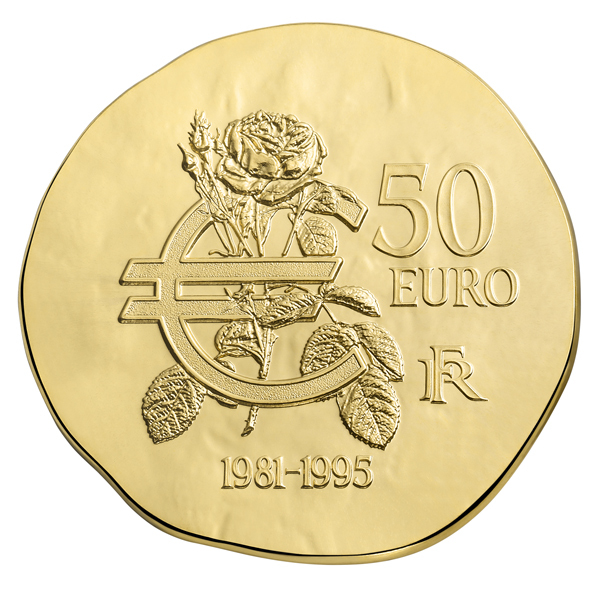 It’s unknown at present if there will be any other coins released in this format.